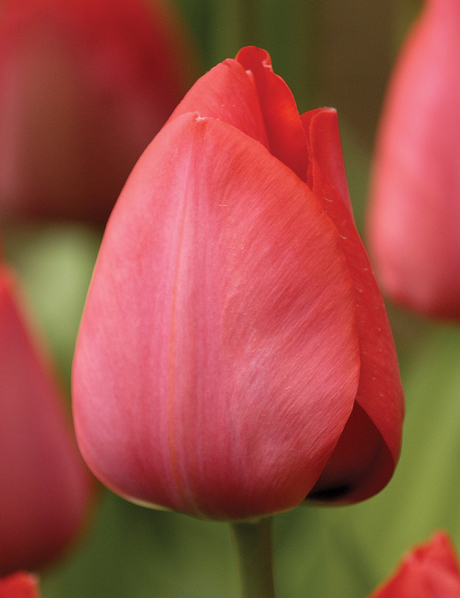 The Tulip is truly an extraordinary flower. 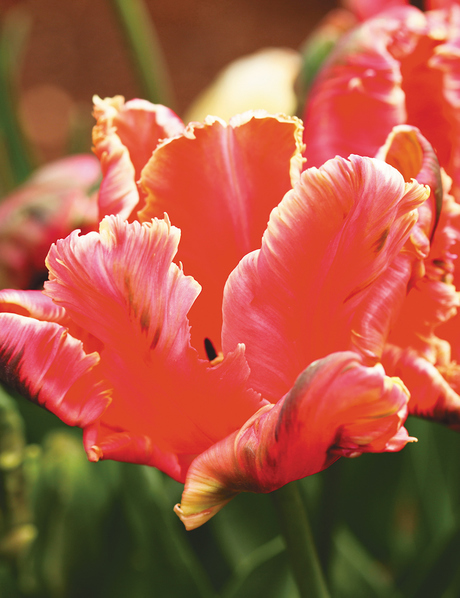 With a past steeped in romance, it has been a muse for art, poetry and passion. 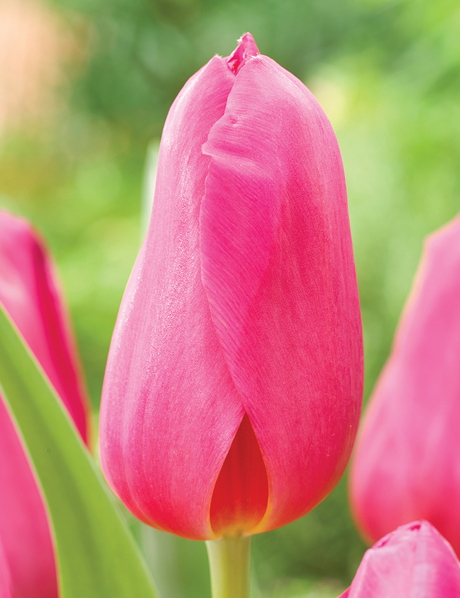 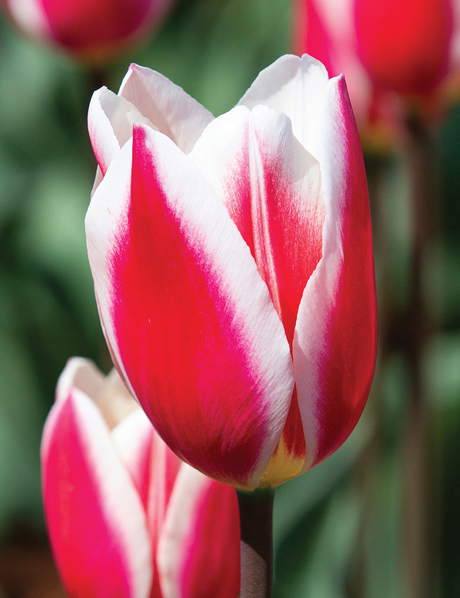 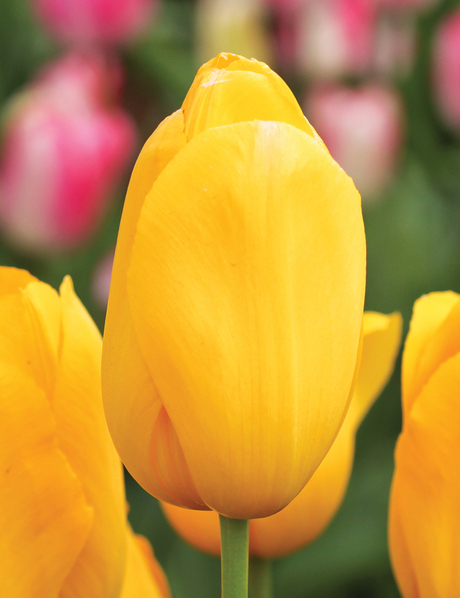 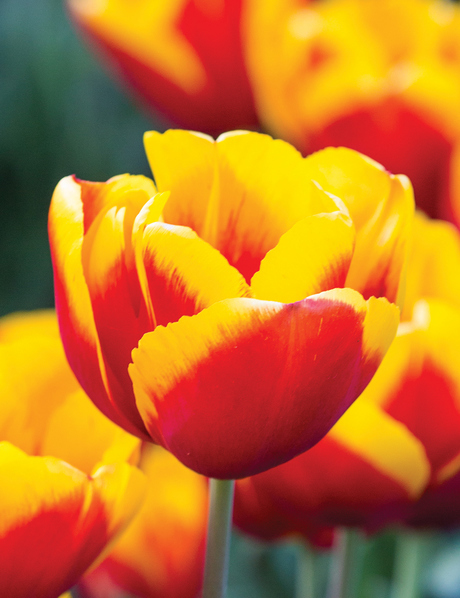 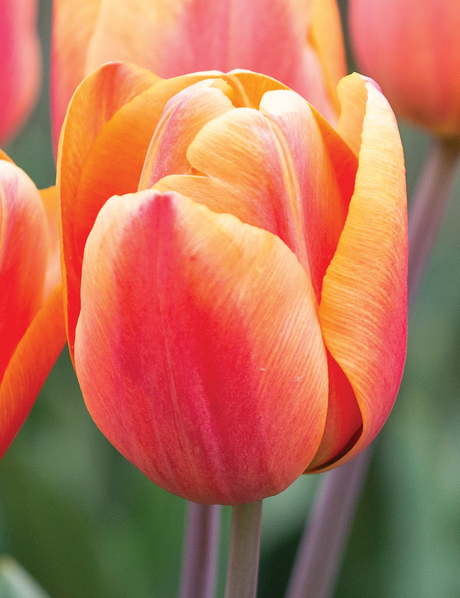 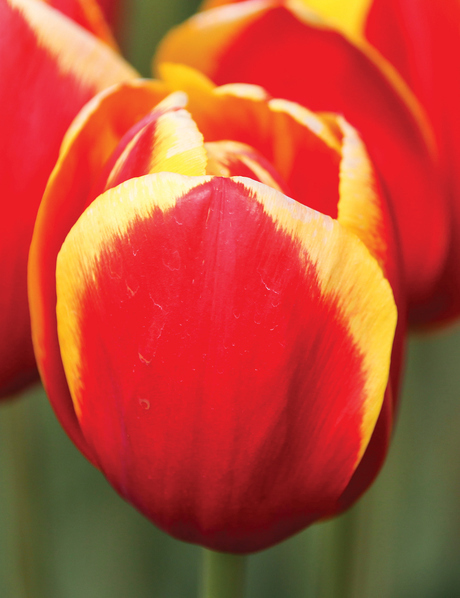 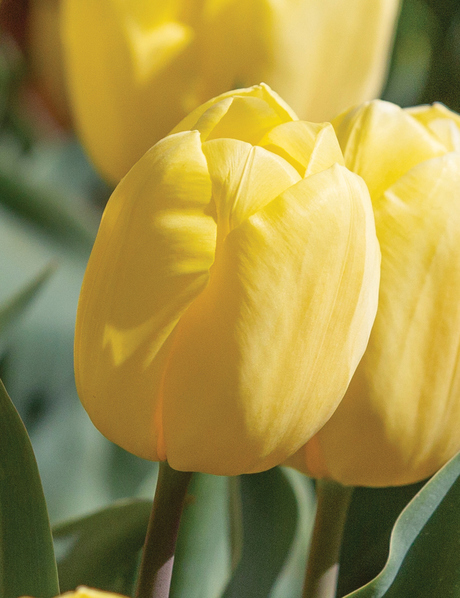 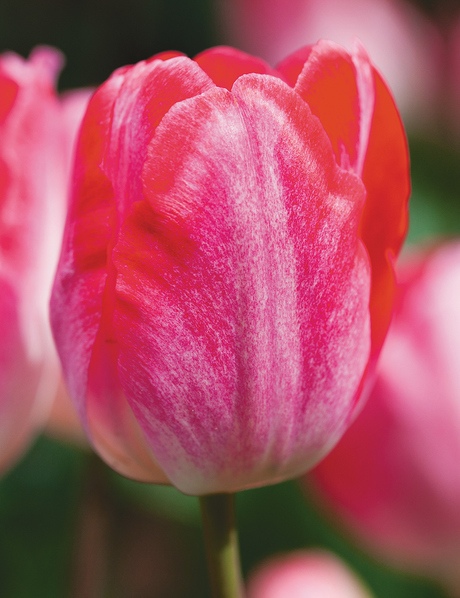 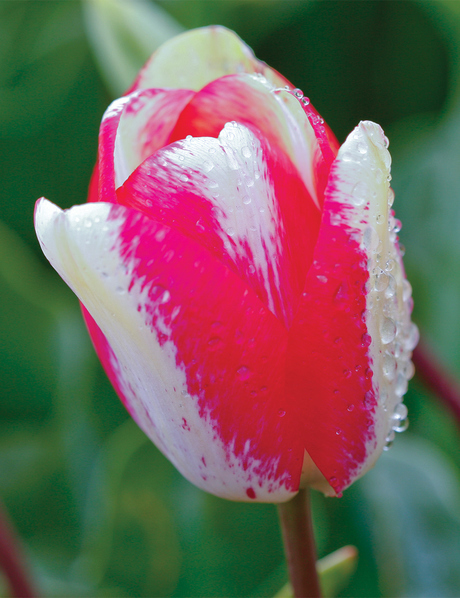 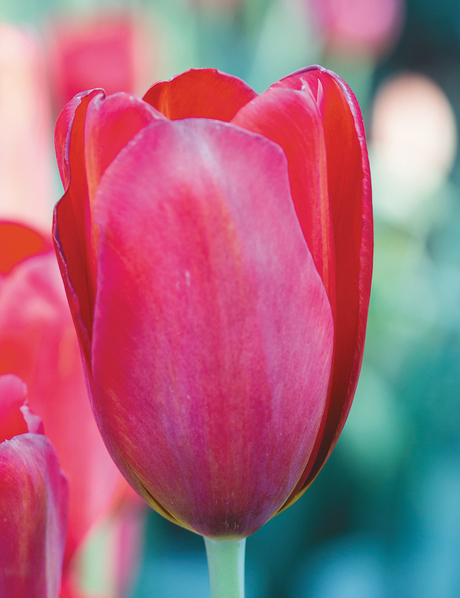 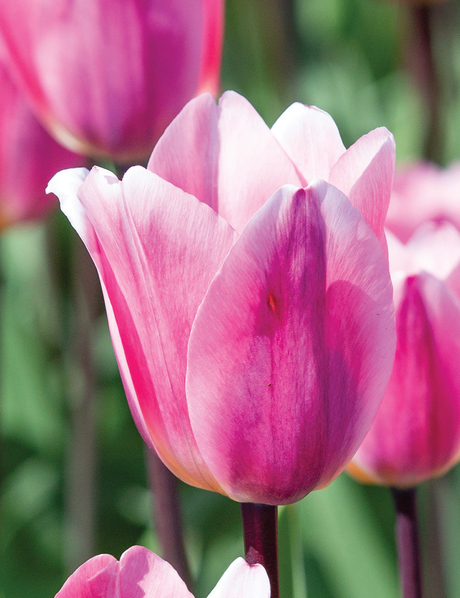 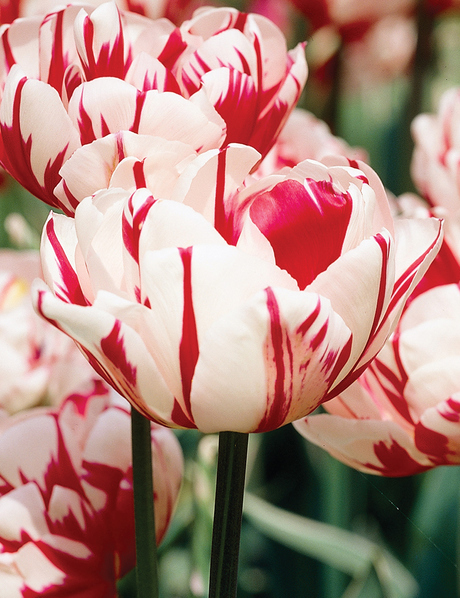 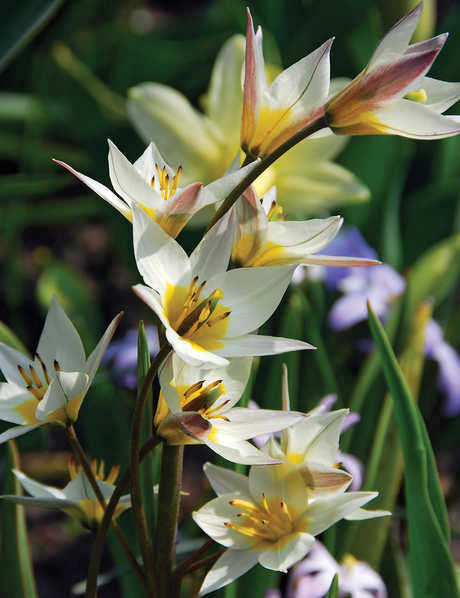 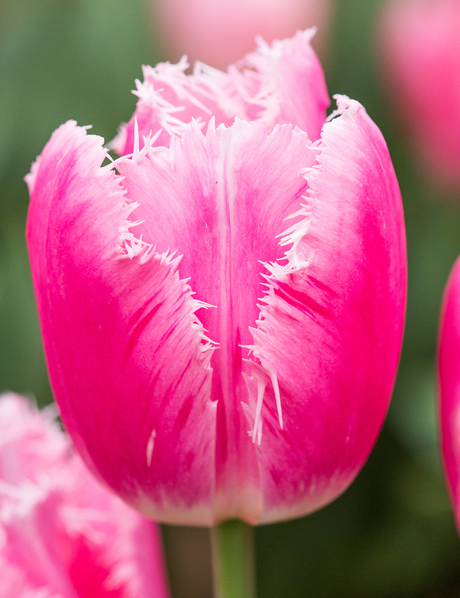 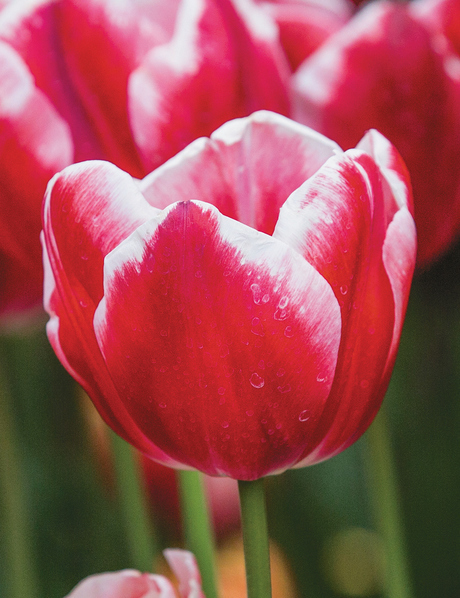 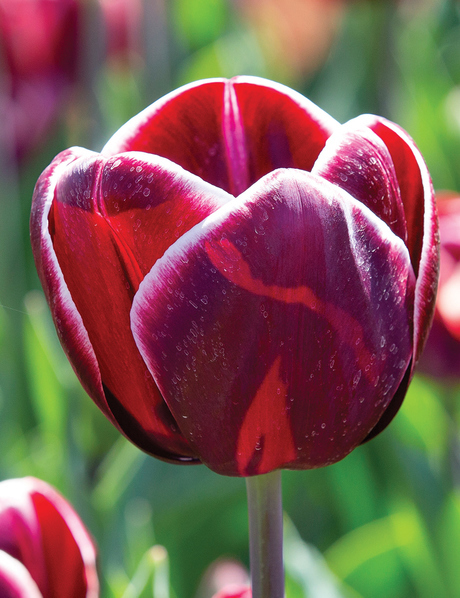 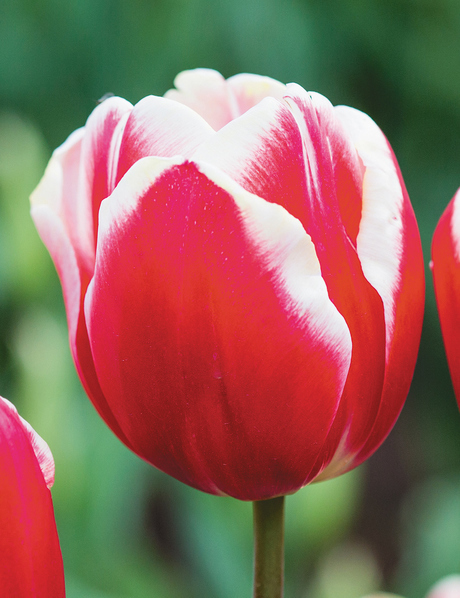 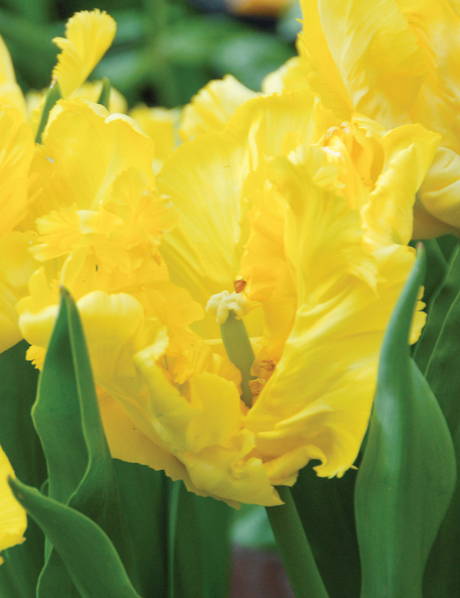 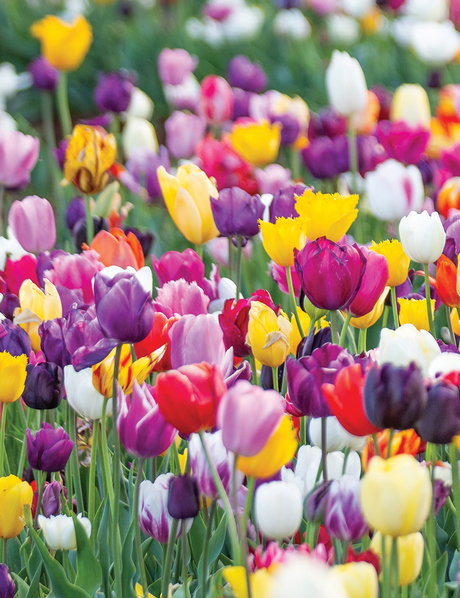 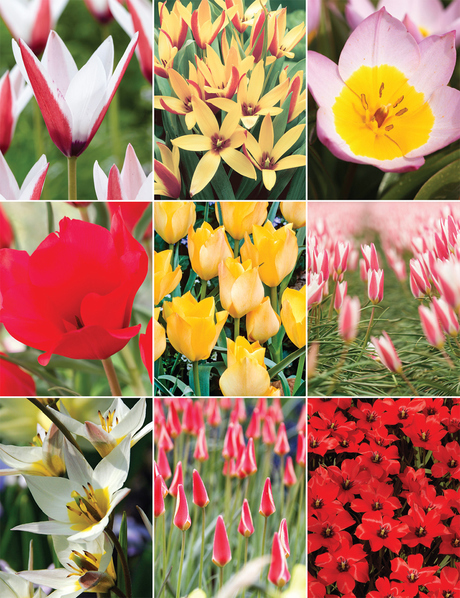 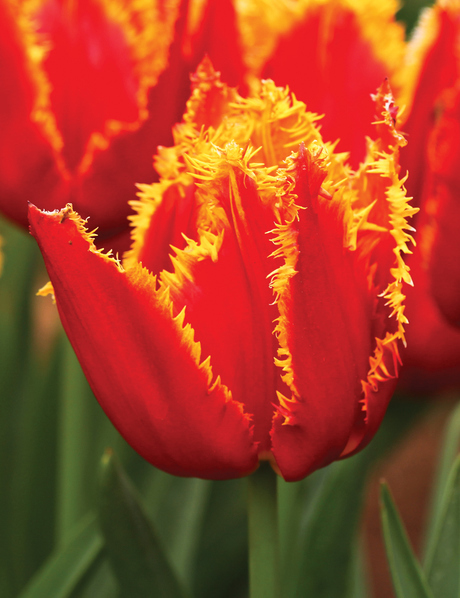 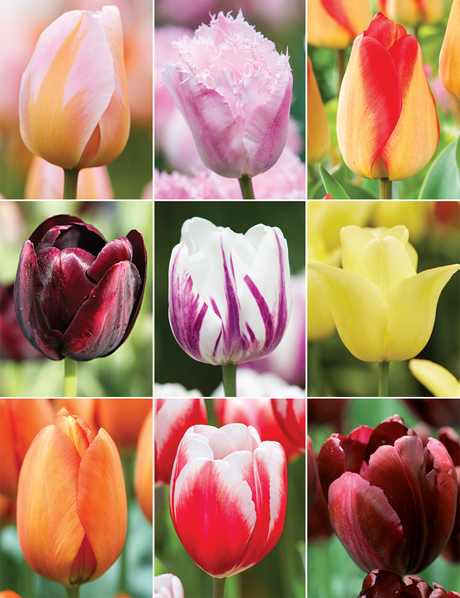 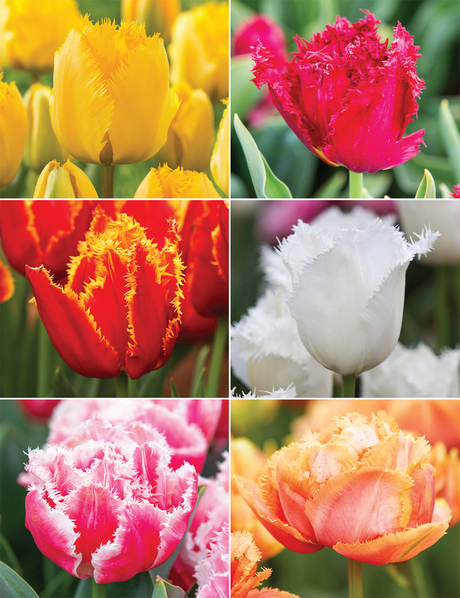 The Tulip has obsessed nations, taking flower power to the extreme, and has become known as the Queen of Bulbs. 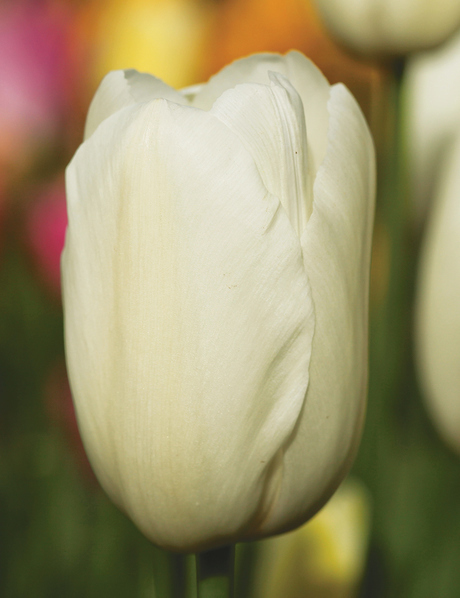 Originating in the mountainous slopes of Turkey, the Tulip is tougher than you think. 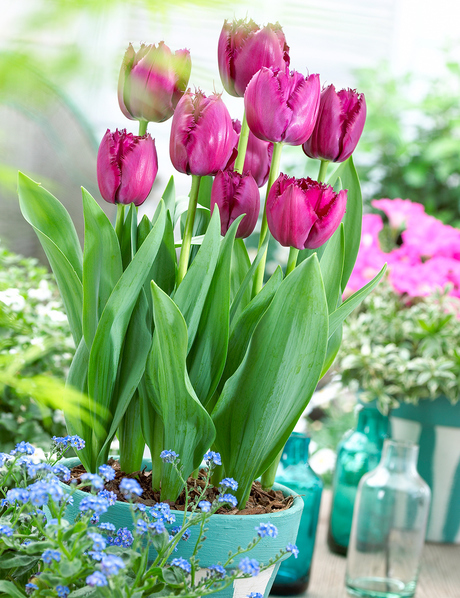 All our bulbs are pre cooled so all you need to do is plant them in a sunny spot and keep them watered. 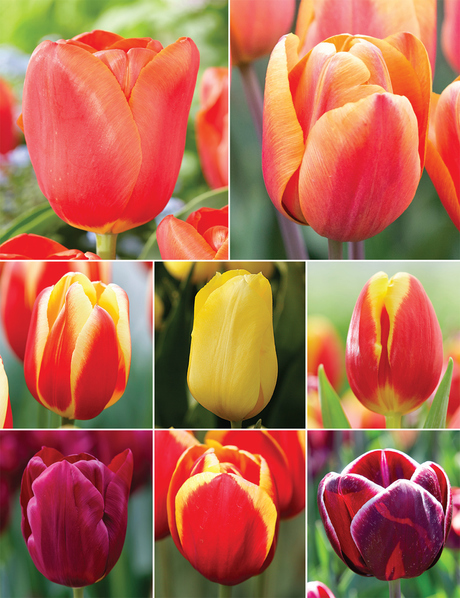 Tulips are all about colour. 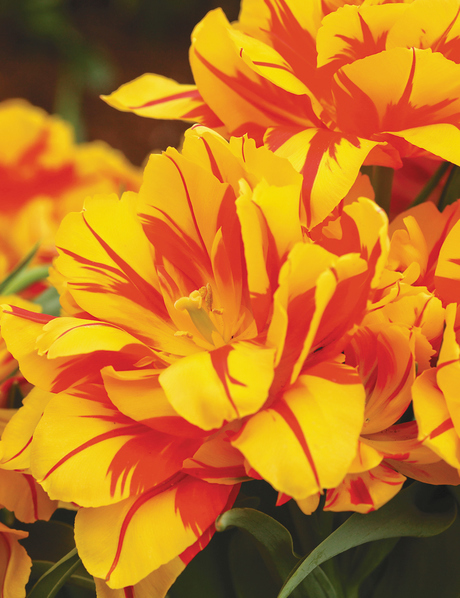 They have been hybridised into a myriad of brilliant, bold hues that can be woven into any garden to great effect. 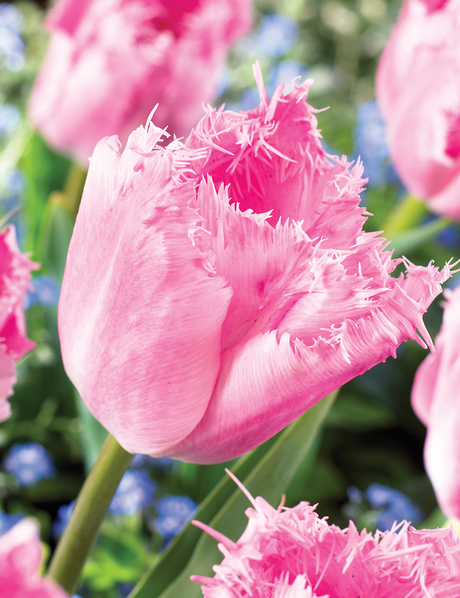 Their spectacular spring show has made them popular for hundreds of years. 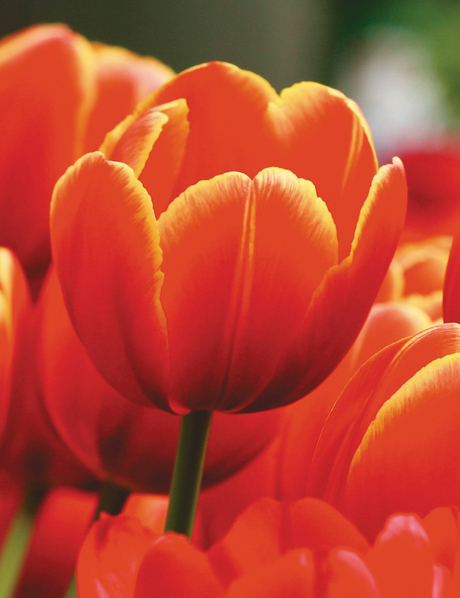 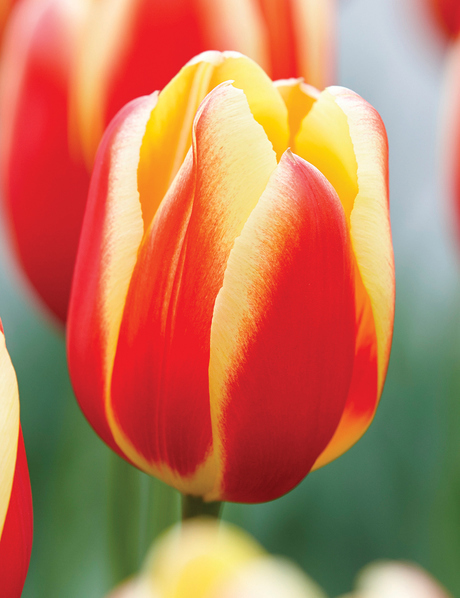 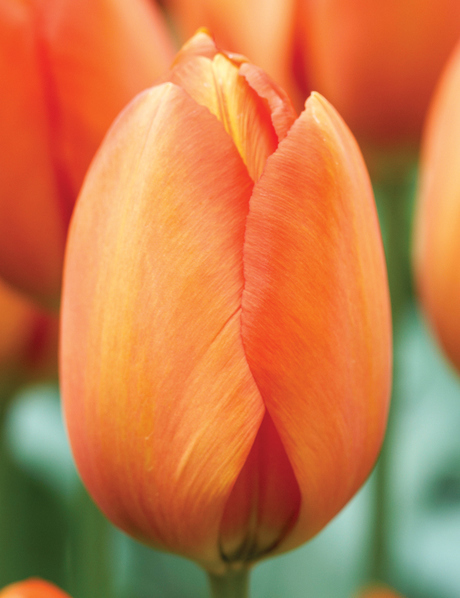 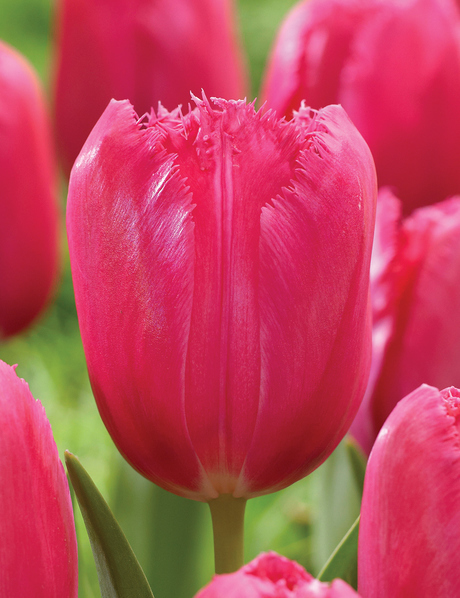 Tulips were revered as the symbol of the Royal Court of Turkey as early as the 1500’s. 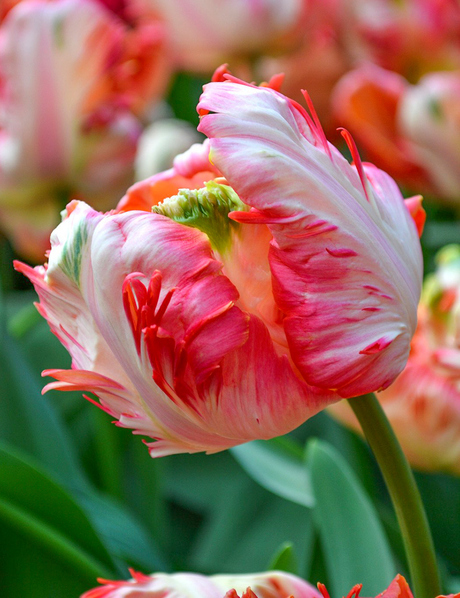 Arriving in the Netherlands in the early 1600’s they turned heads wherever they went. 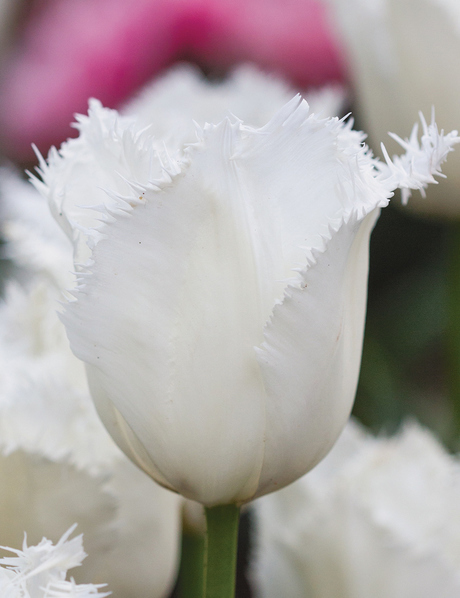 In 1637 a single bulb of the Tulip ‘Semper Augustus’ was more valuable than the most expensive house in Amsterdam. 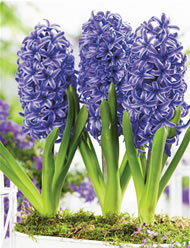 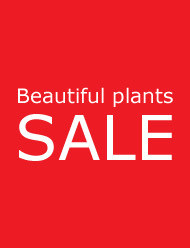 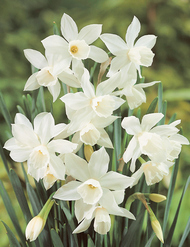 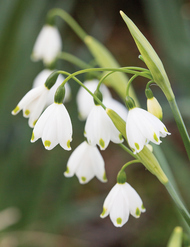 Today they still turn heads and are loved the world over - though now they are more affordable for the average gardener! 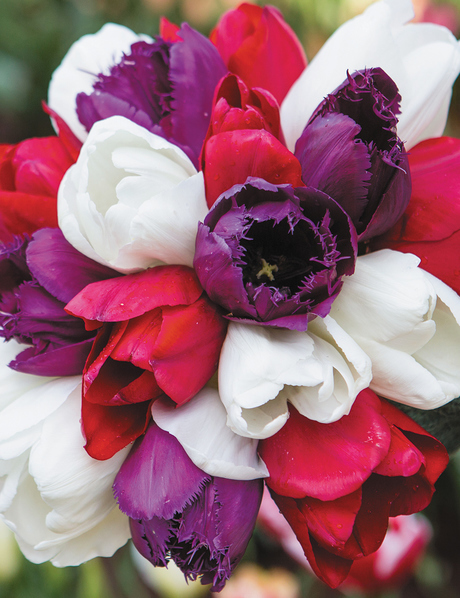 Big, bold and beautiful blooms. 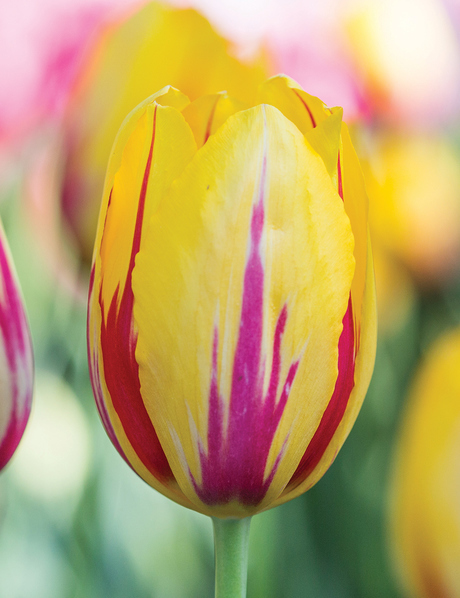 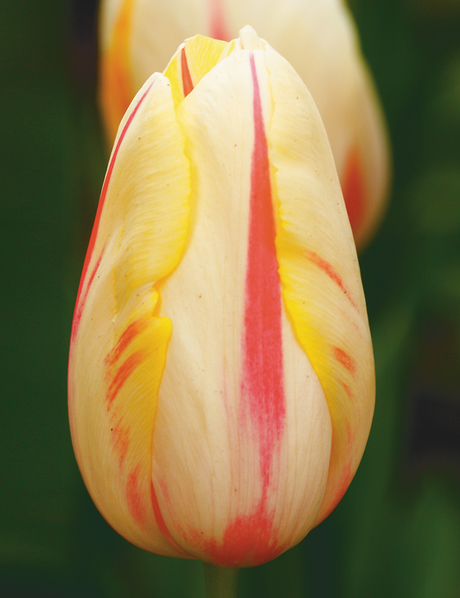 Monet Tulips are tall, strong and long lasting. 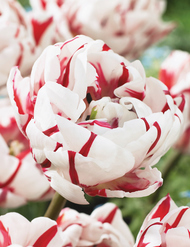 They are absolutely perfect for the garden. 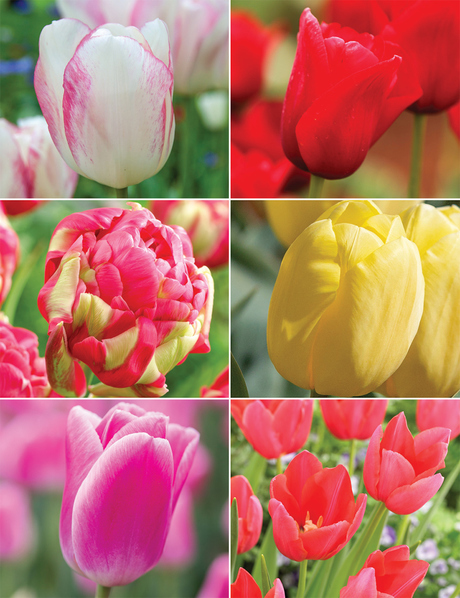 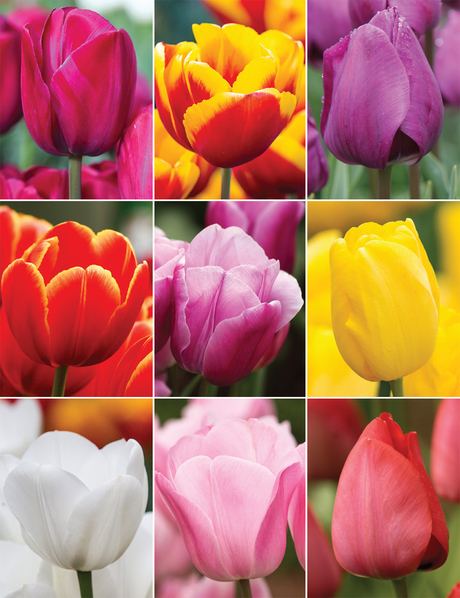 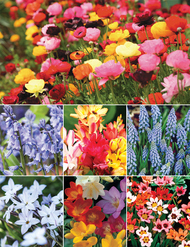 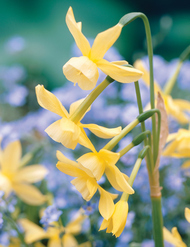 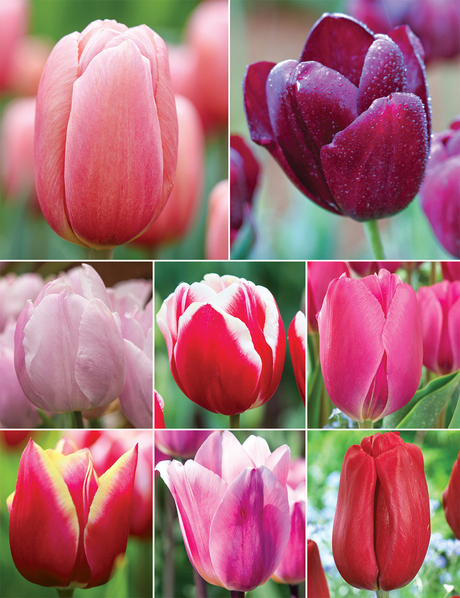 We love the array of bright colour that these hardy bulbs provide. 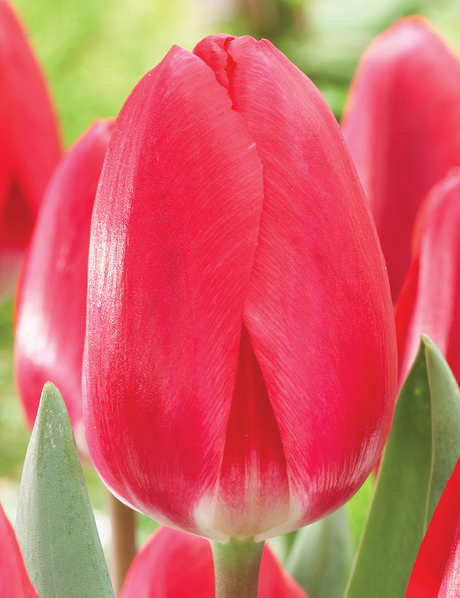 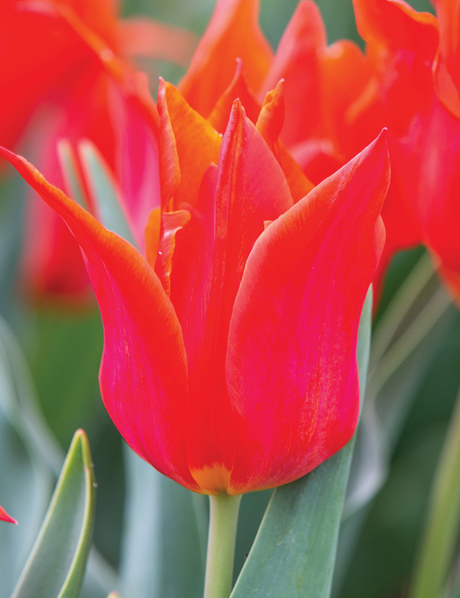 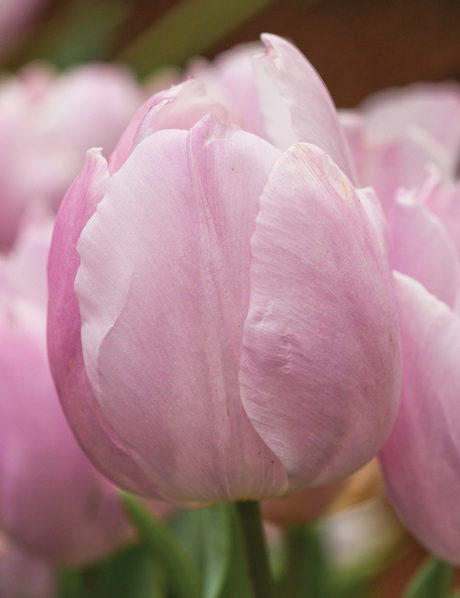 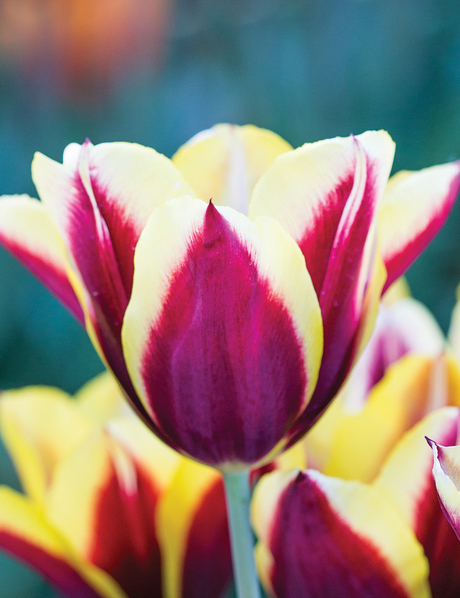 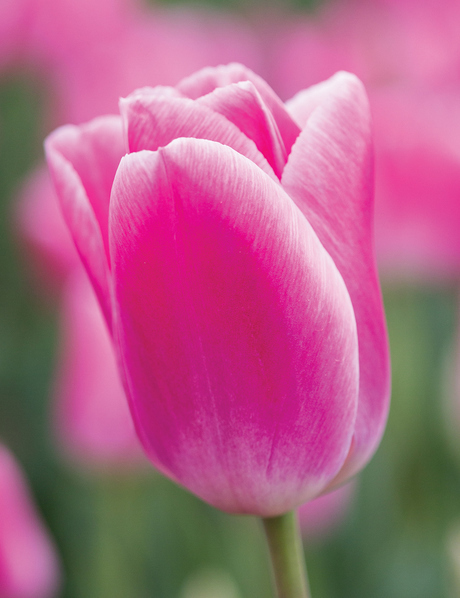 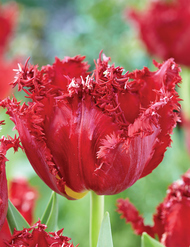 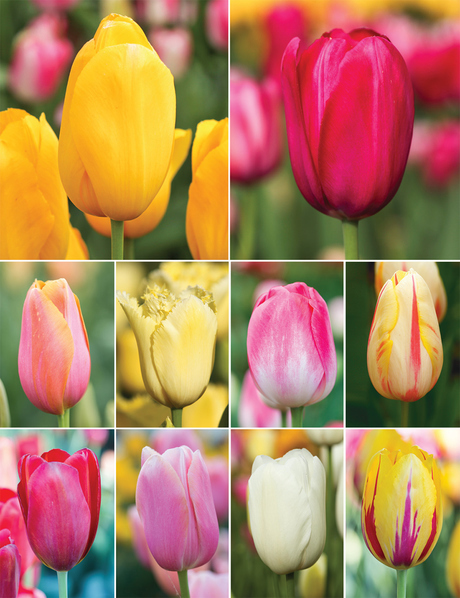 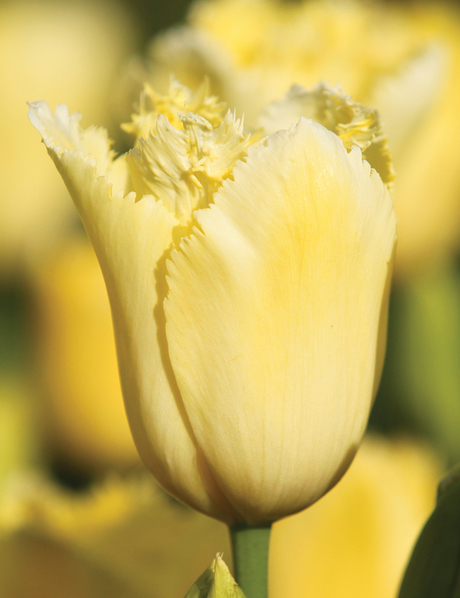 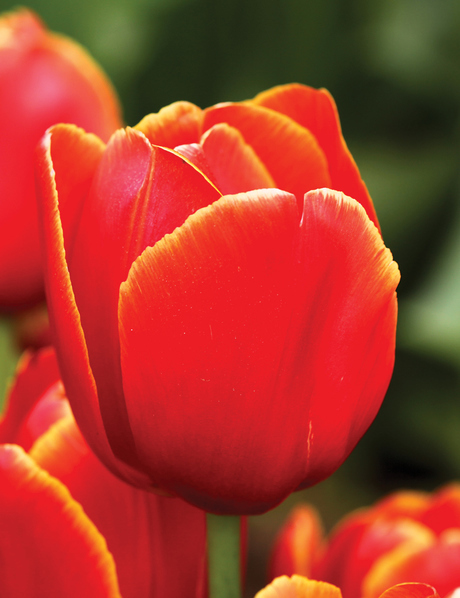 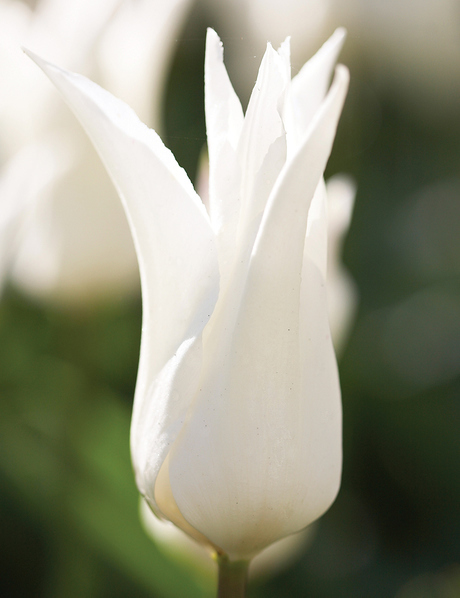 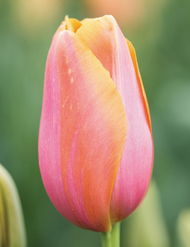 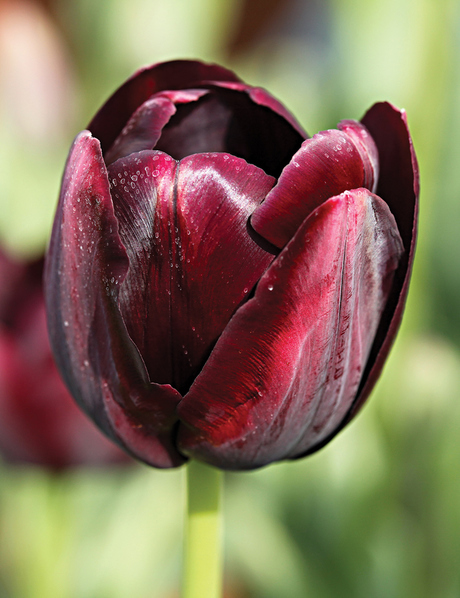 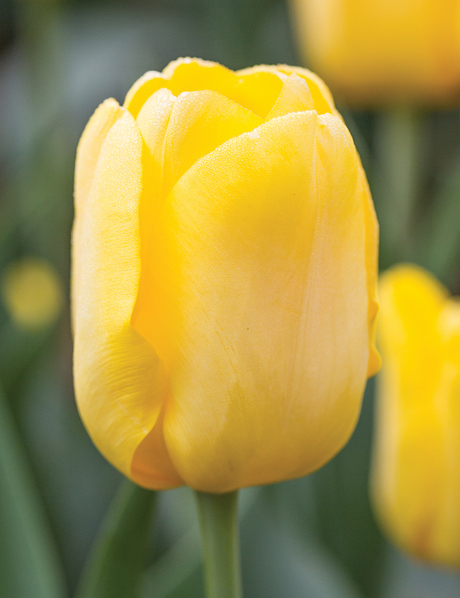 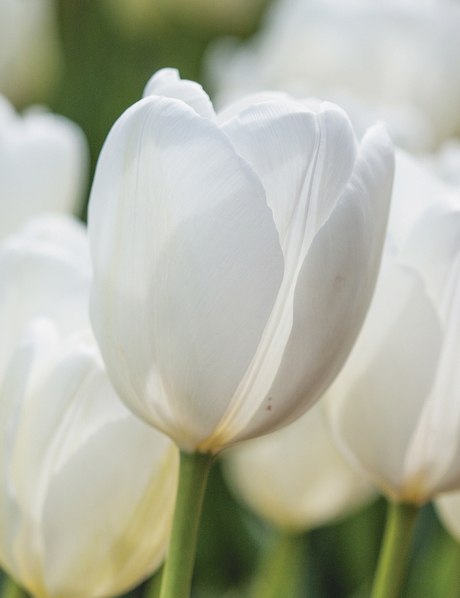 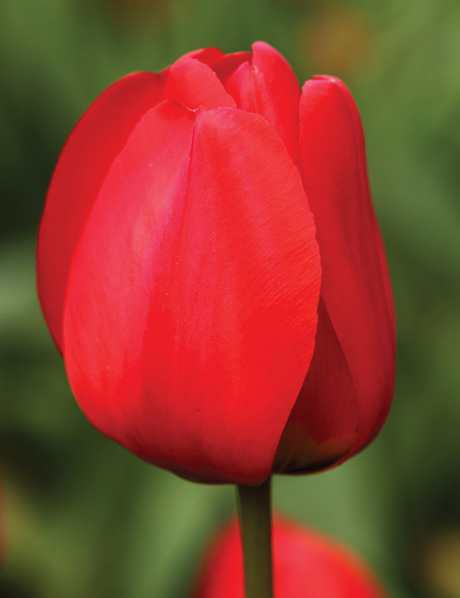 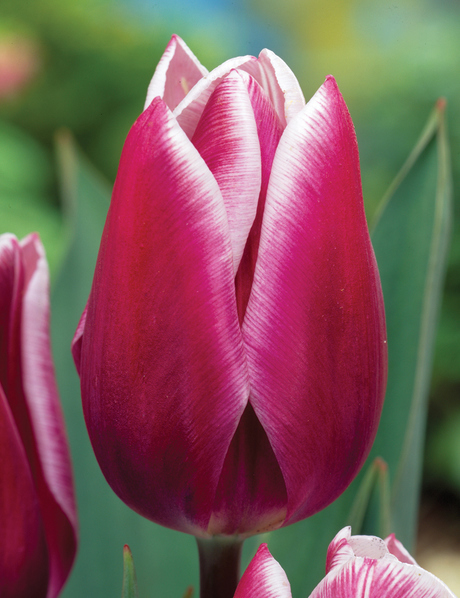 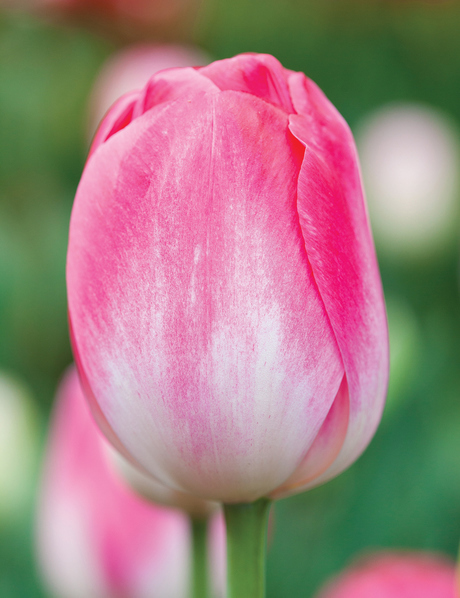 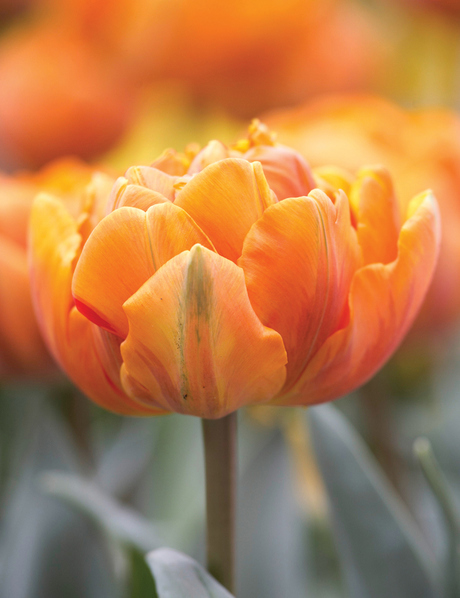 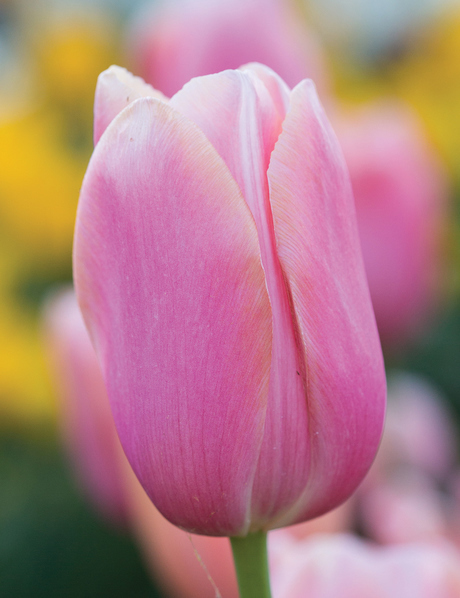 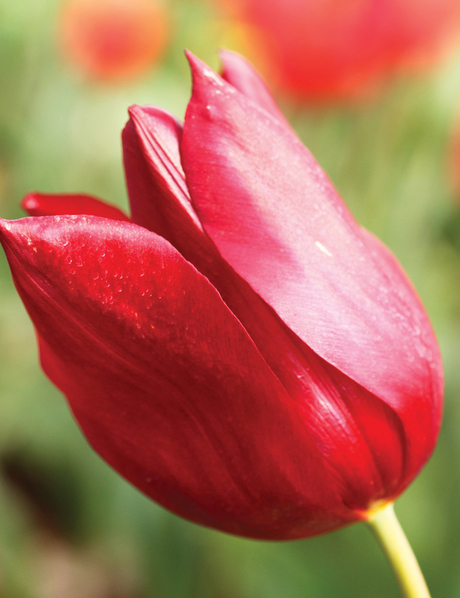 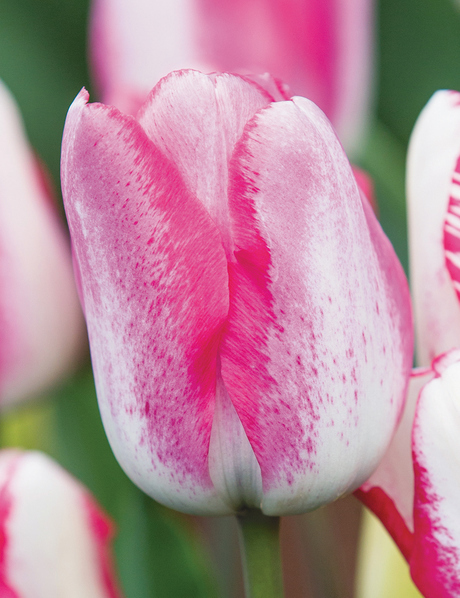 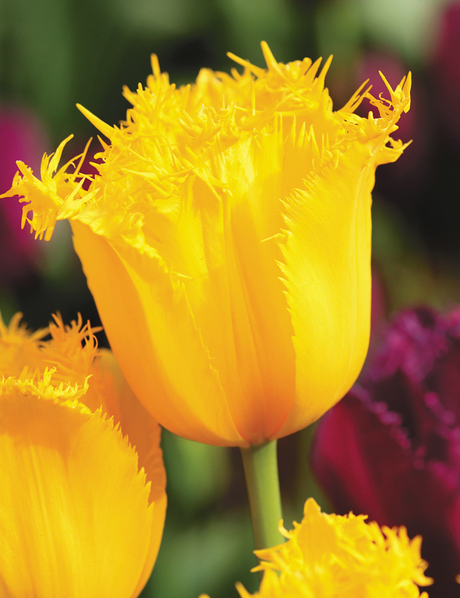 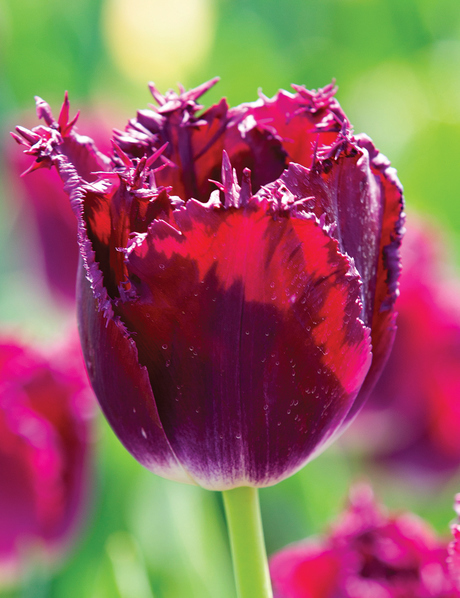 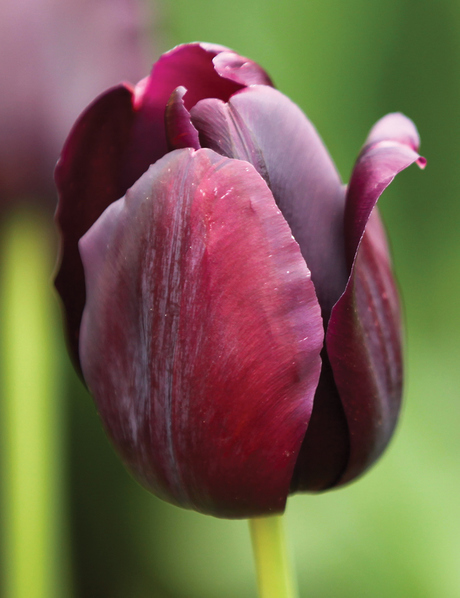 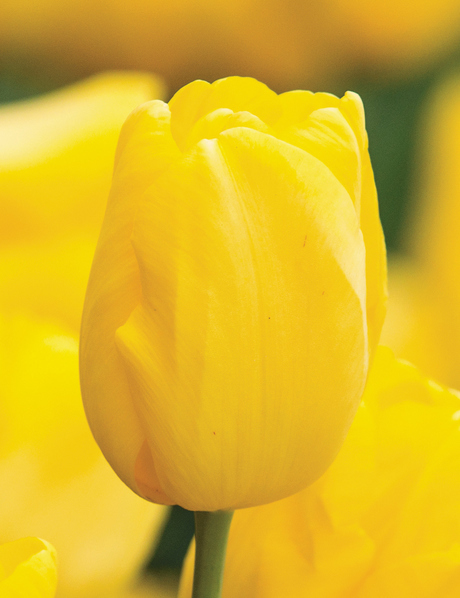 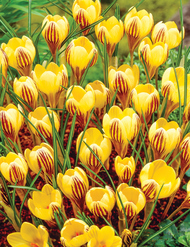 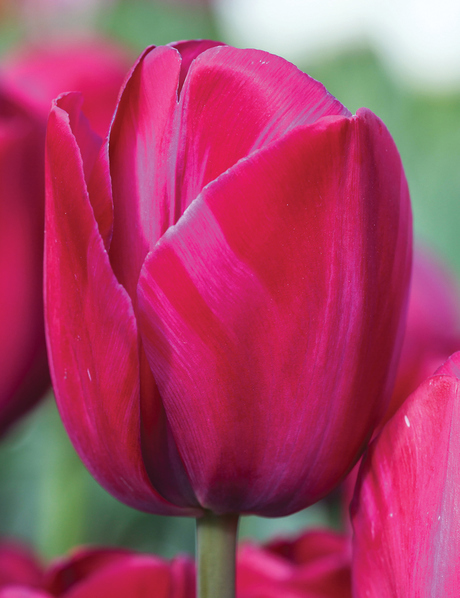 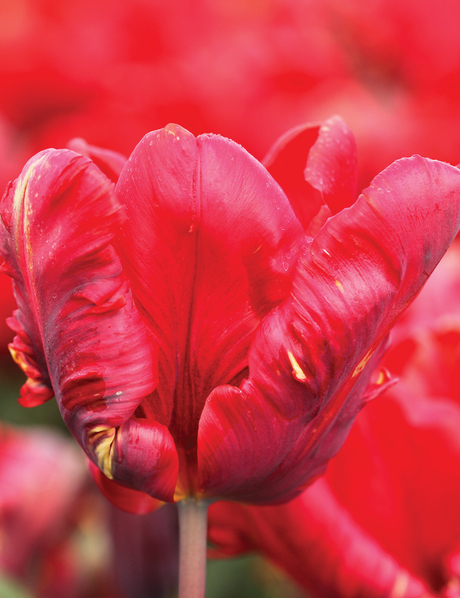 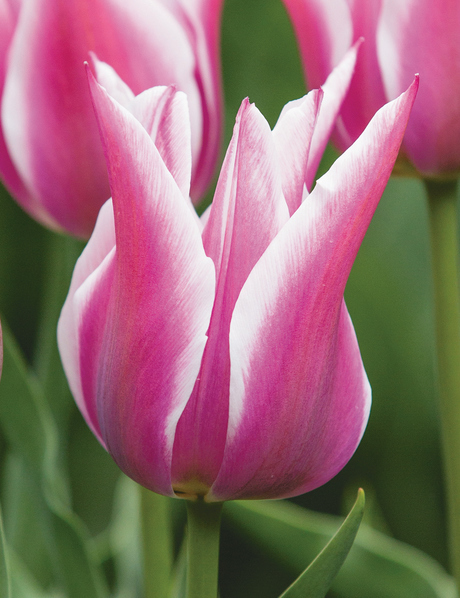 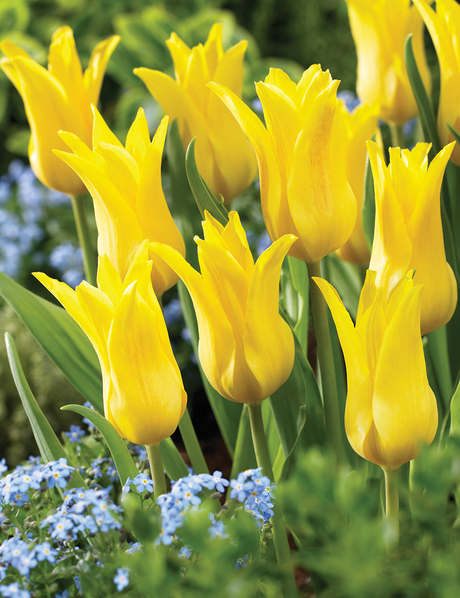 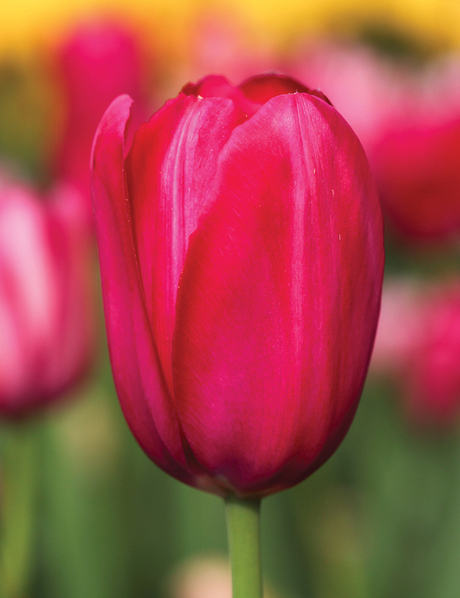 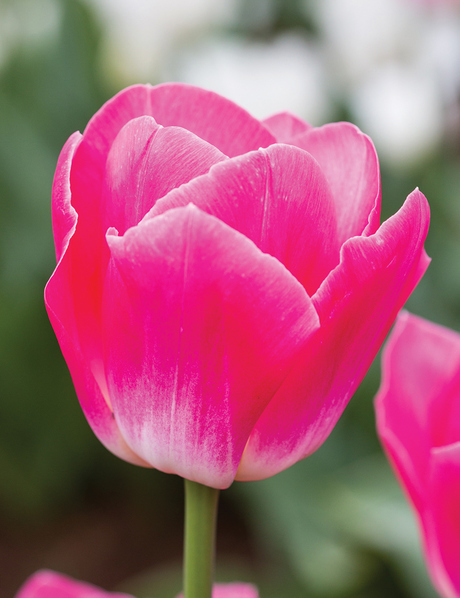 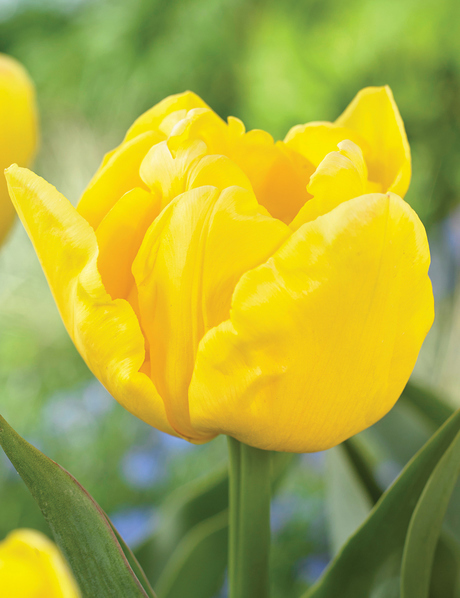 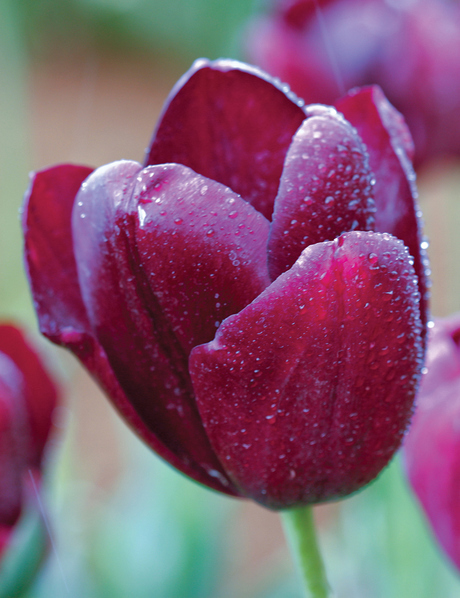 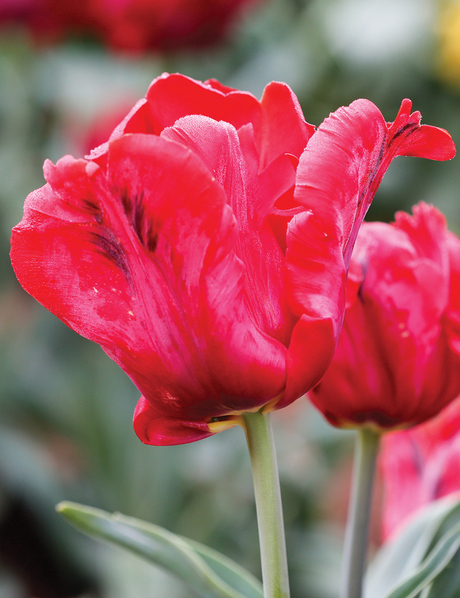 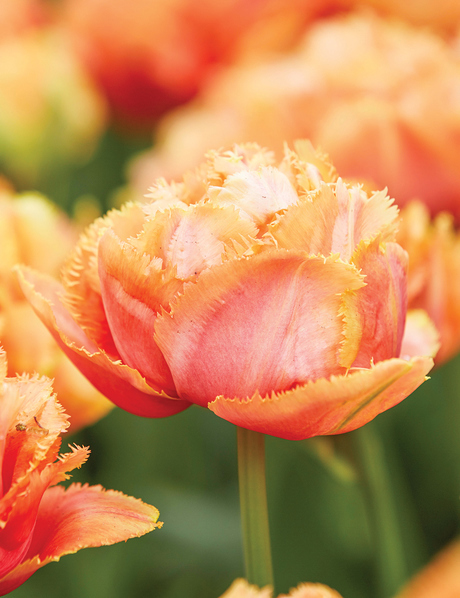 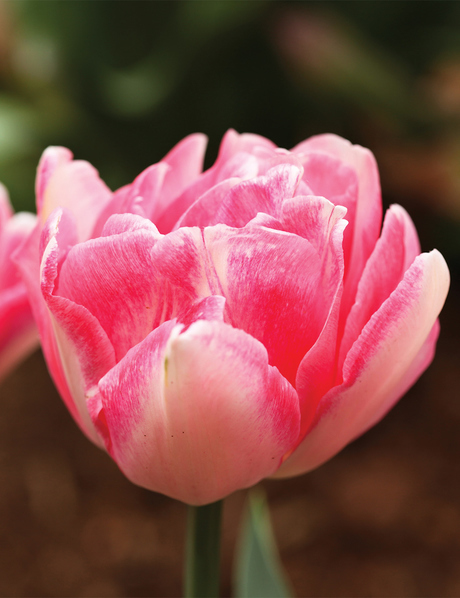 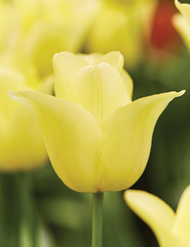 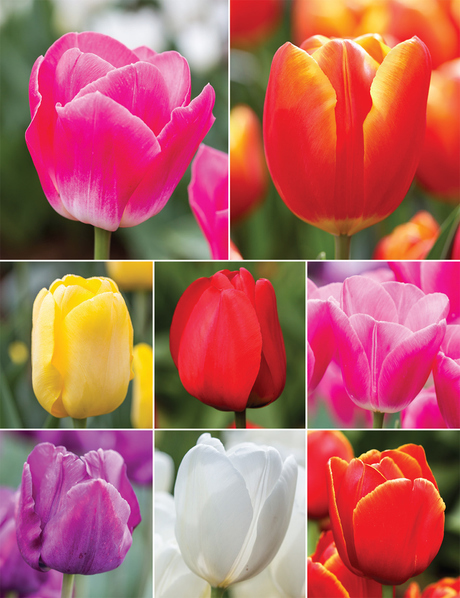 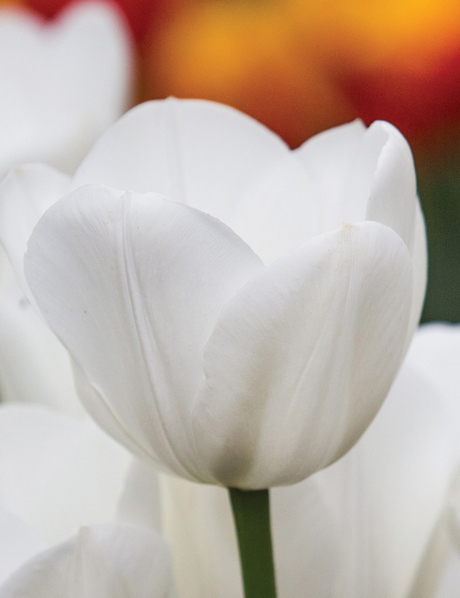 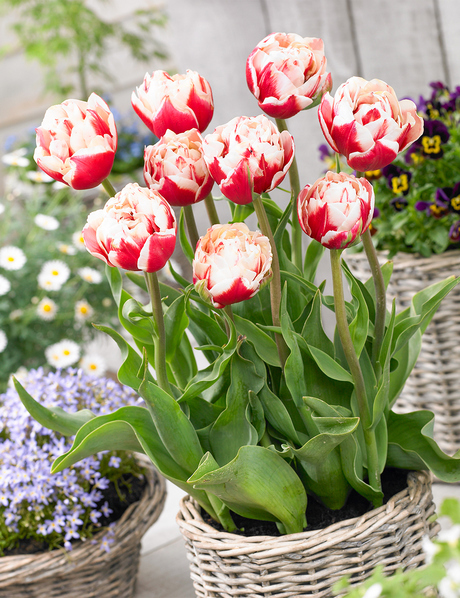 Bokassa Tulips are the premium tulip range for potting. 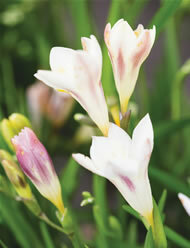 The flowers are a medium height with compact foliage that lends perfectly to container plantings. 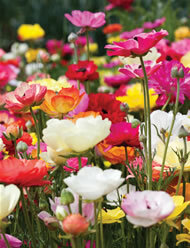 Adding annuals such as Pansies at the time of planting will provide you with a long and colourful display. 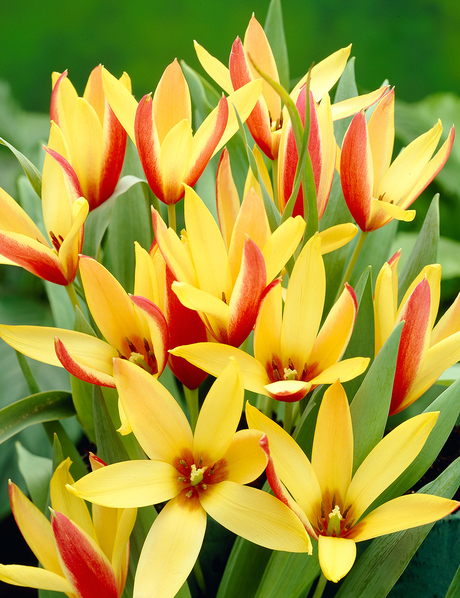 Of course Bokassa Tulips will perform equally well in the garden. 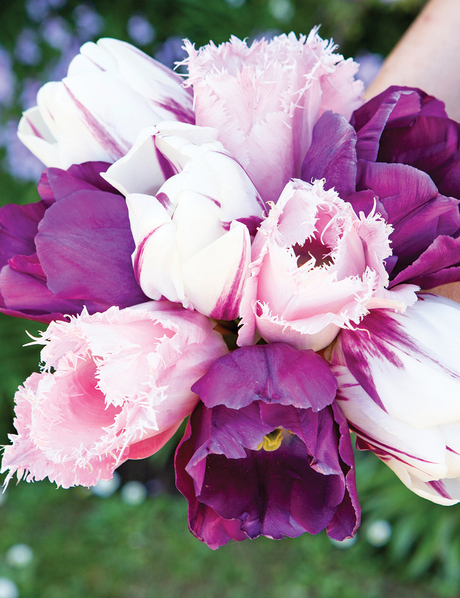 A cool blend of colour. 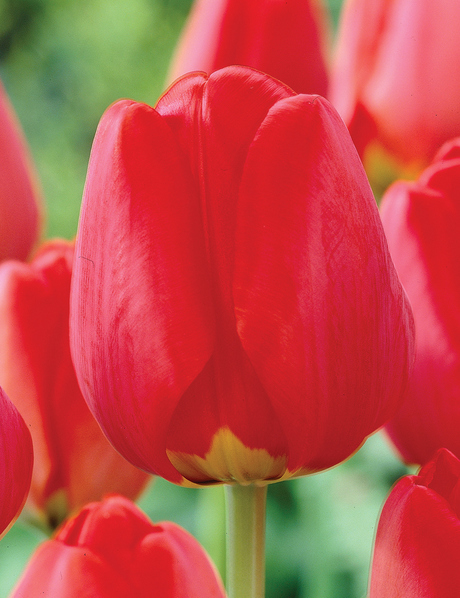 True extroverts! 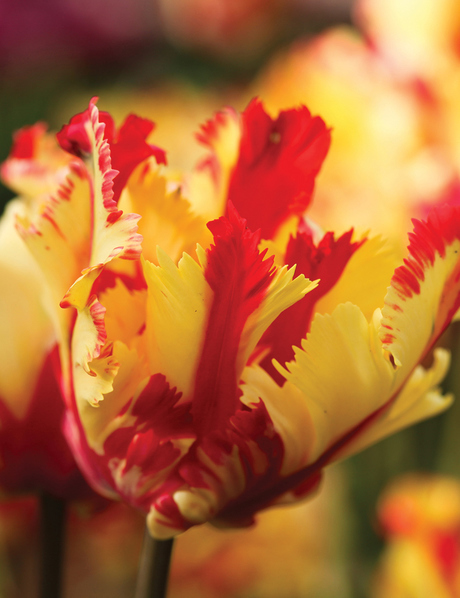 Parrot tulips are colourful, frilled and flamboyant so always create a stir in the garden. 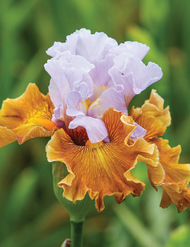 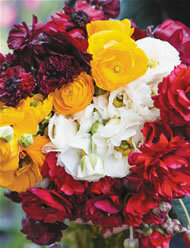 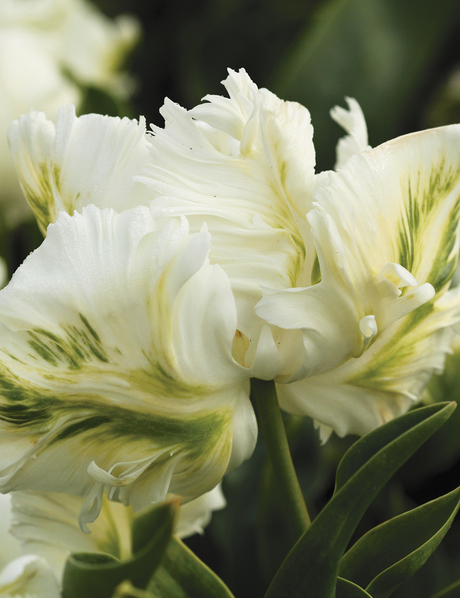 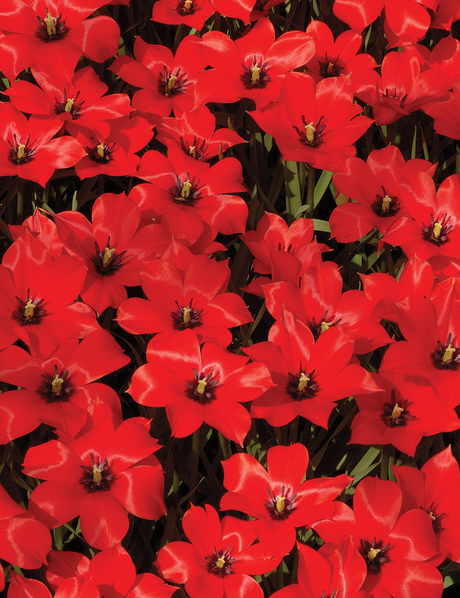 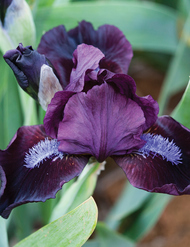 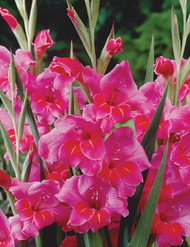 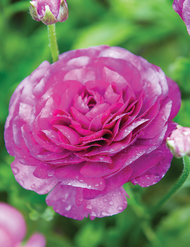 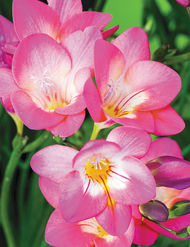 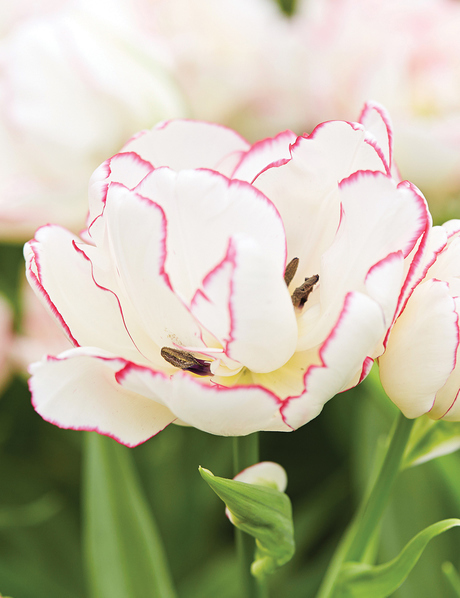 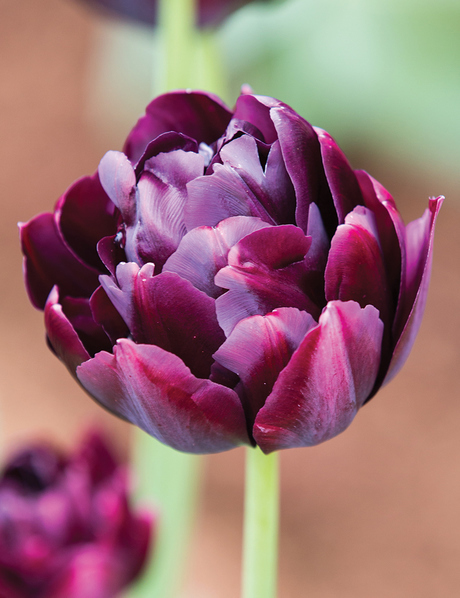 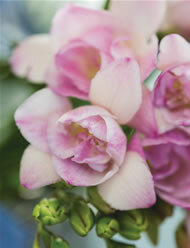 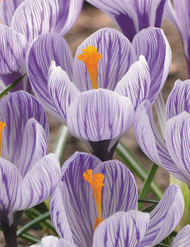 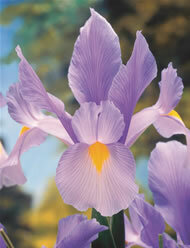 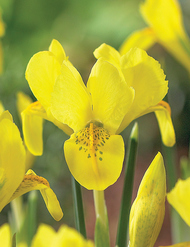 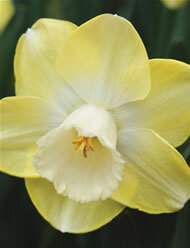 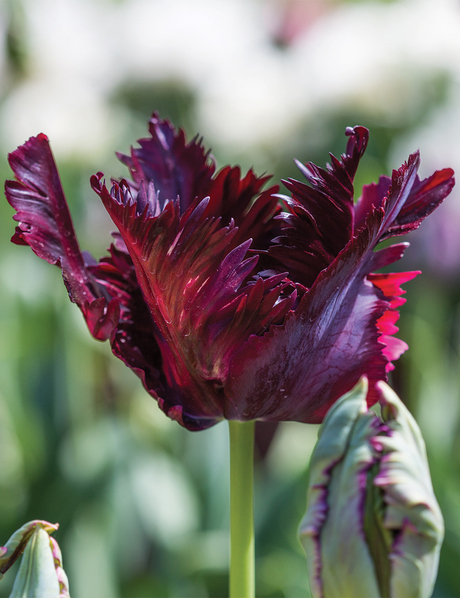 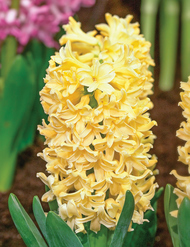 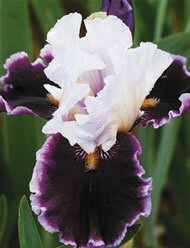 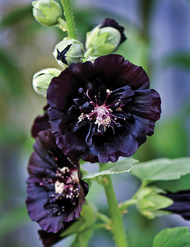 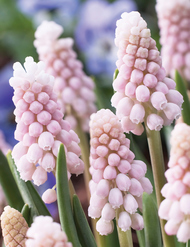 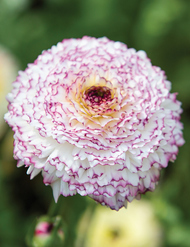 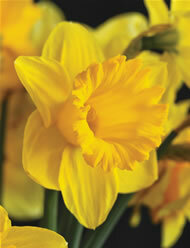 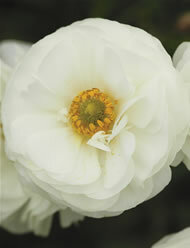 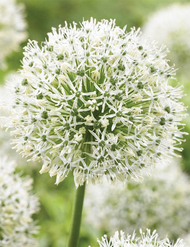 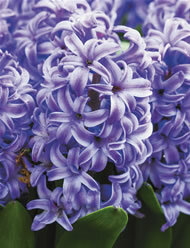 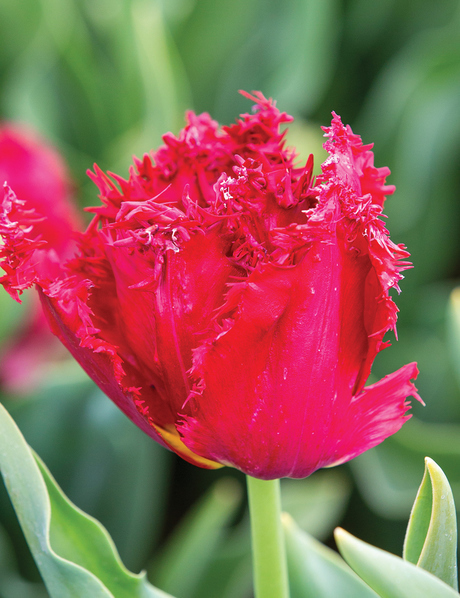 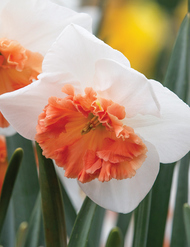 Their ravishing bicolored, frilled petals are decadent yet reliable, tough and hardy. 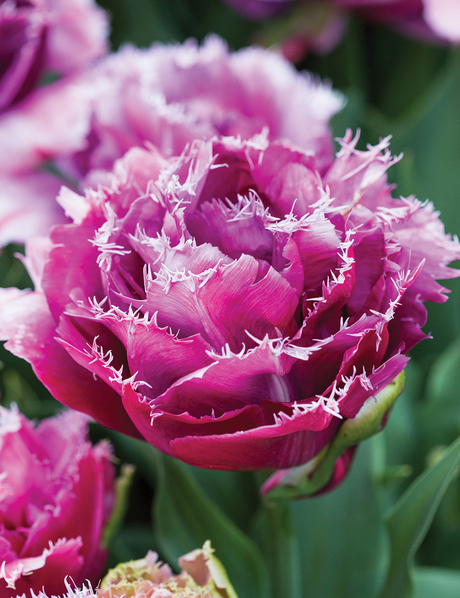 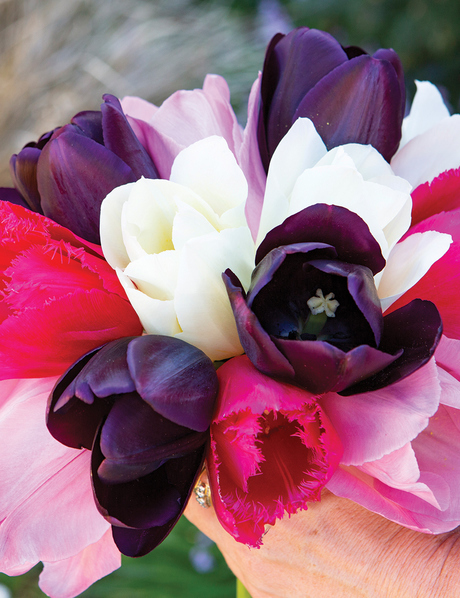 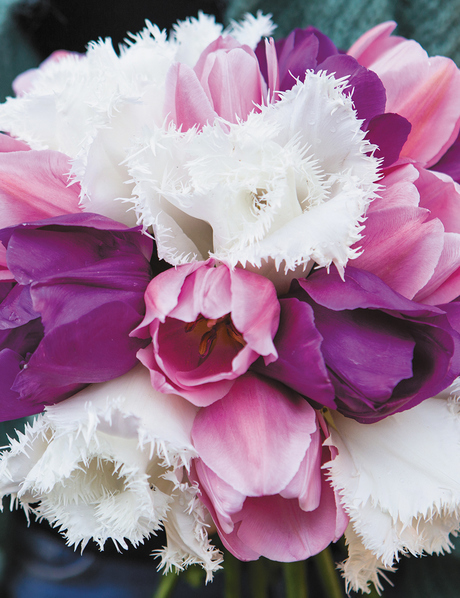 They are also one of the most spectacular cut flower tulips. 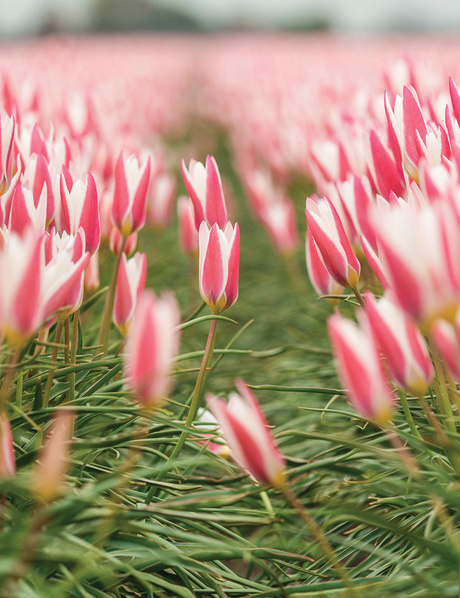 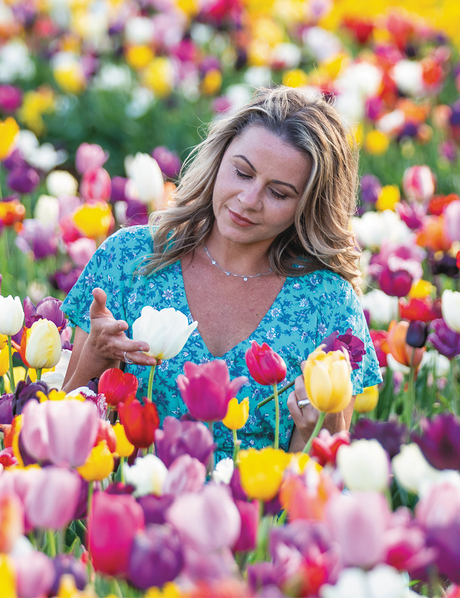 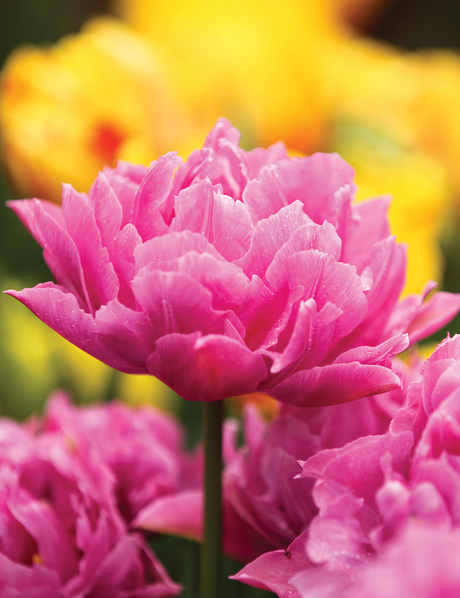 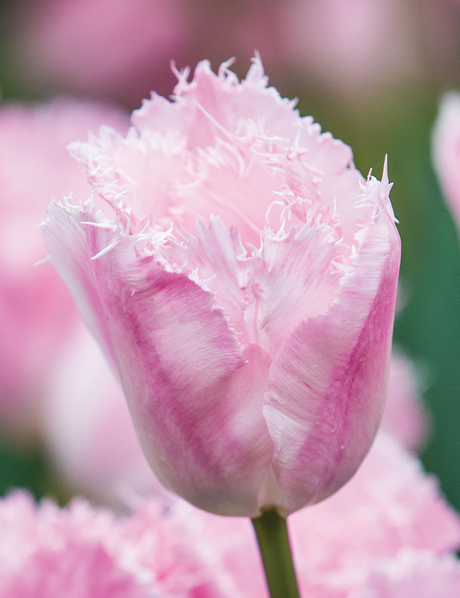 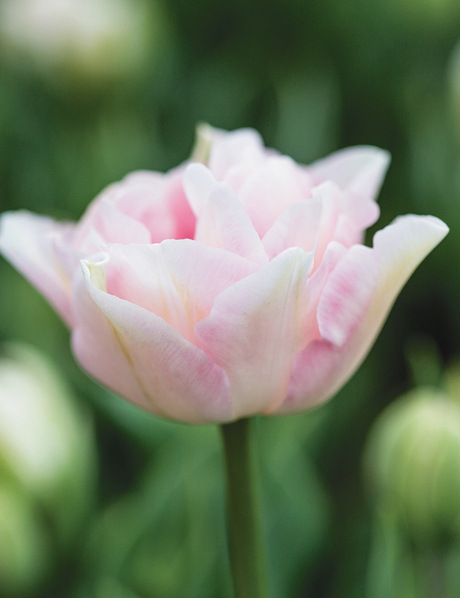 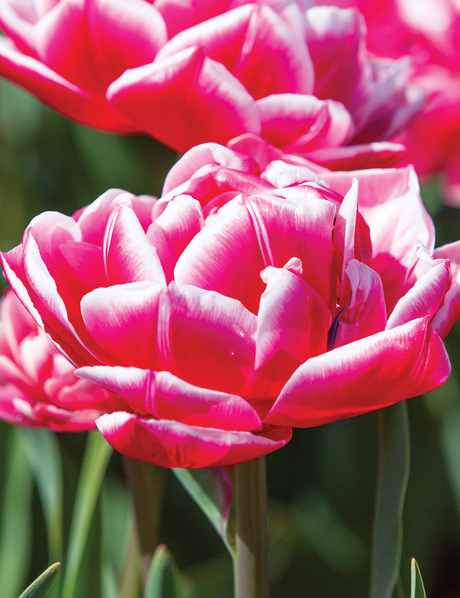 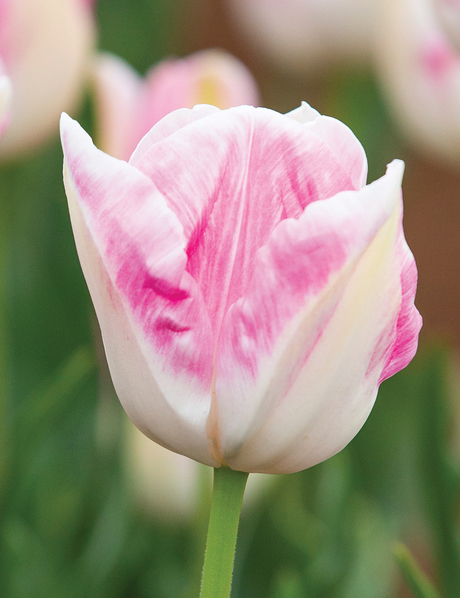 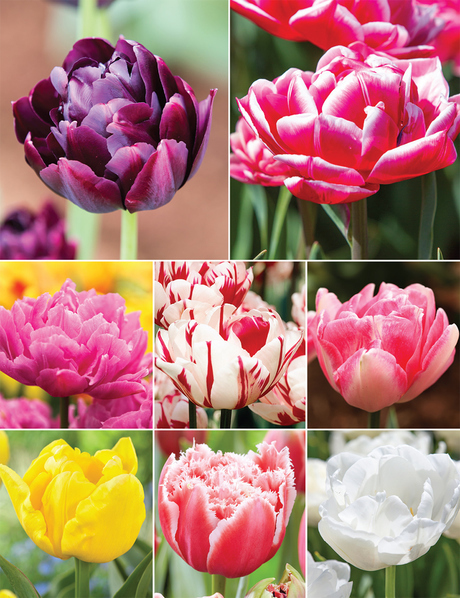 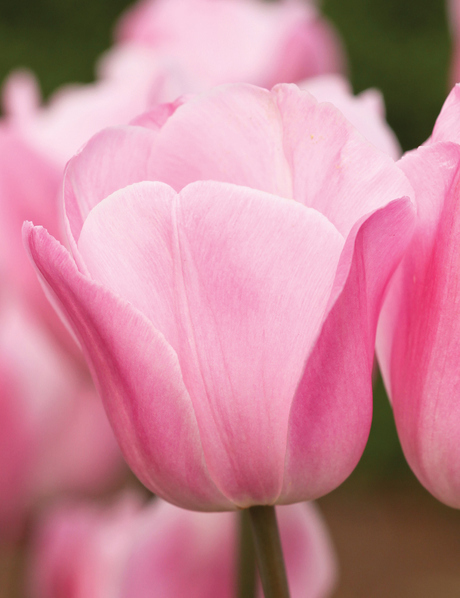 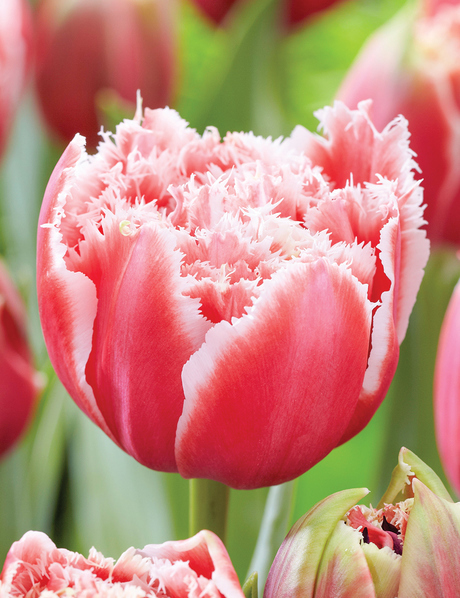 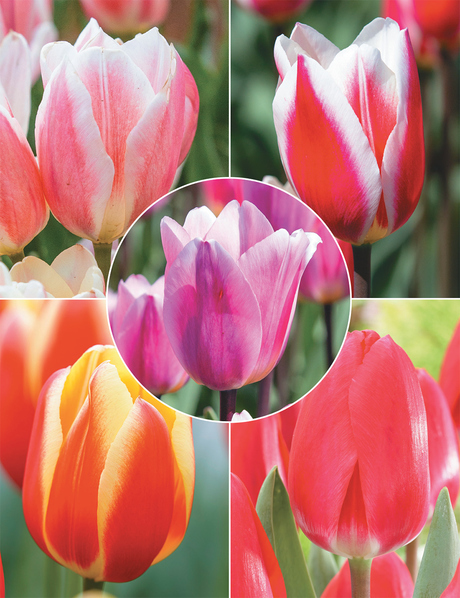 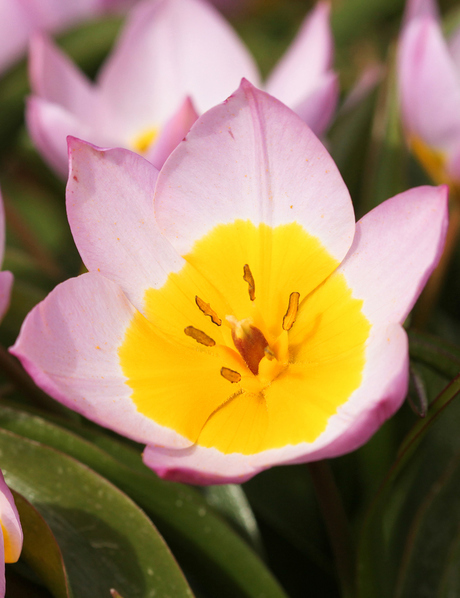 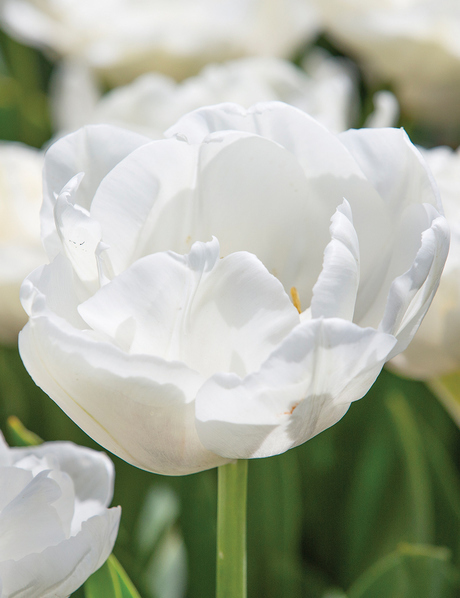 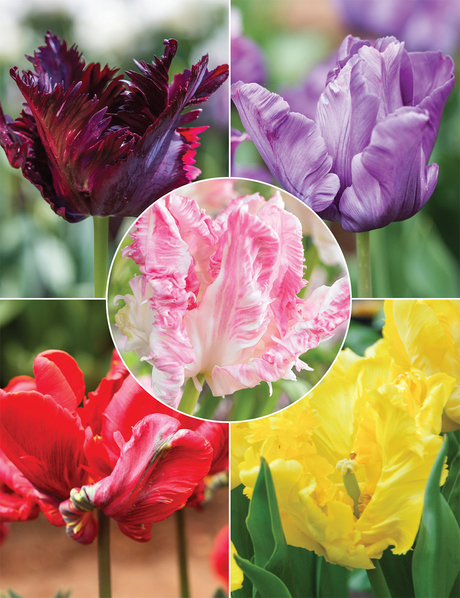 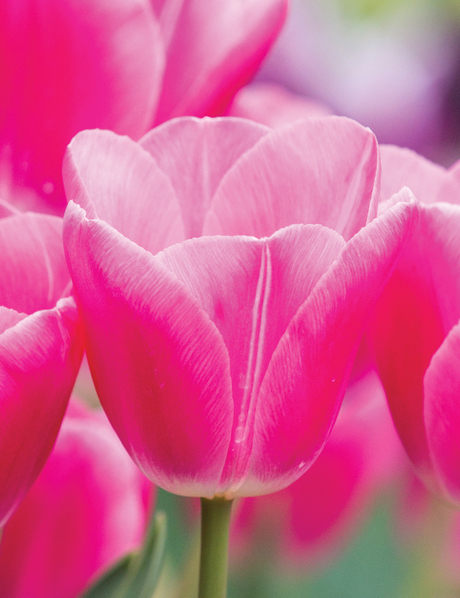 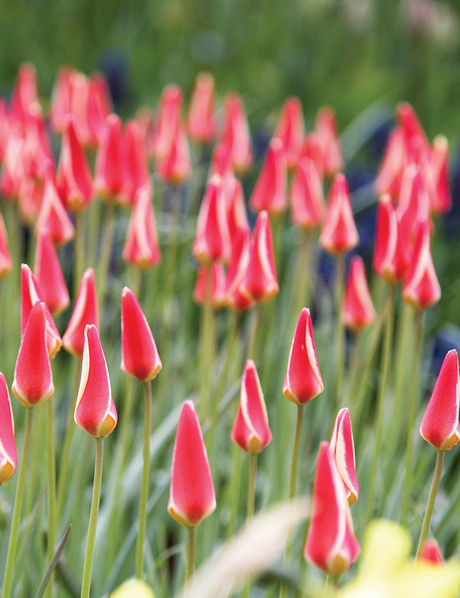 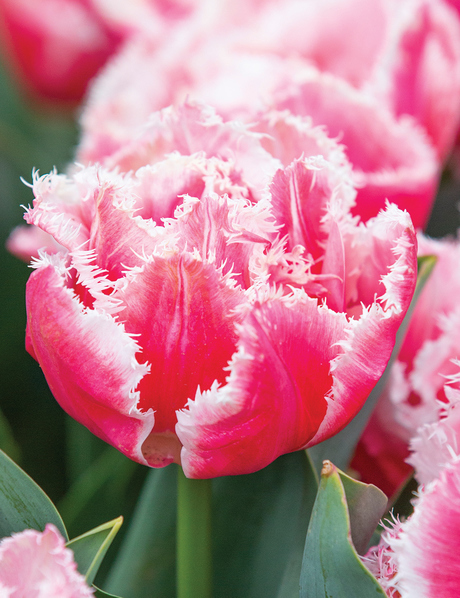 Magniflora Tulips are the result of the continuously improved breeding of Darwin Hybrid Tulips. 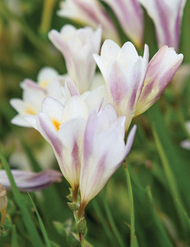 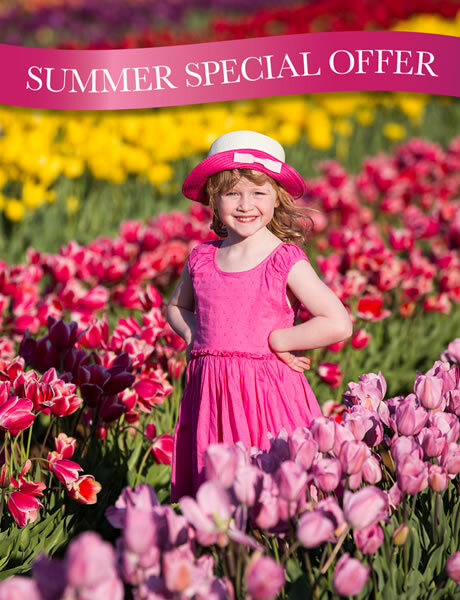 They are longer lasting, more weatherproof and heat proof flowers – perfect for our Australian environment. 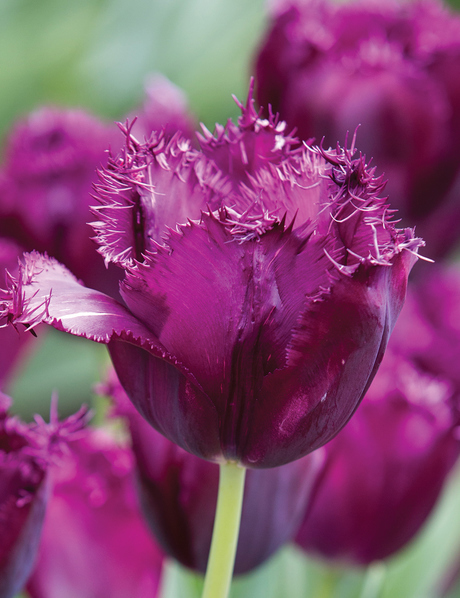 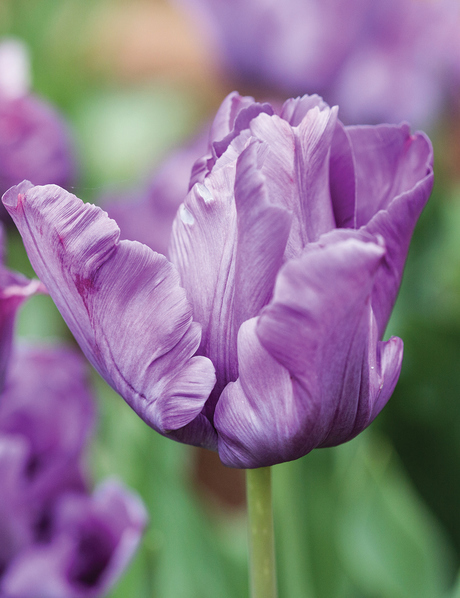 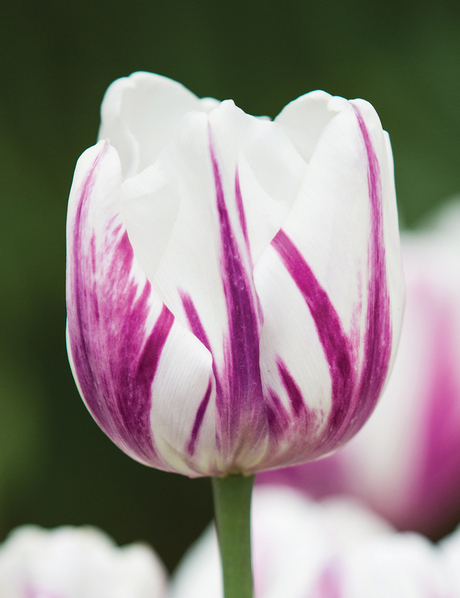 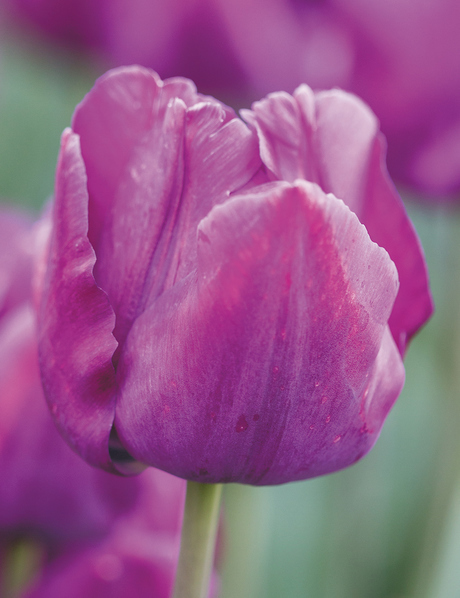 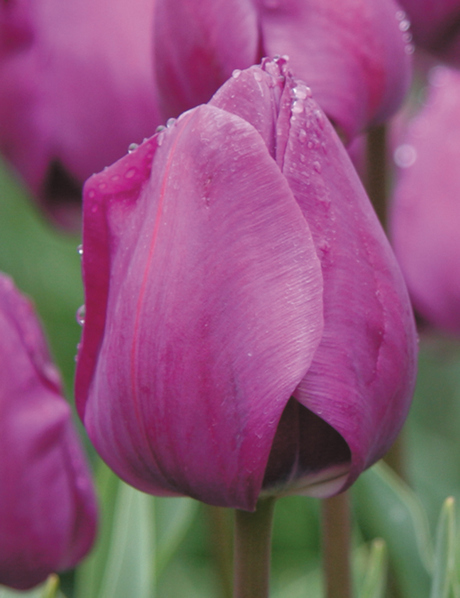 They have a graceful form, somehow less formal than other tulips; the stems are darker, almost purple, taller and sway beautifully in the breeze. 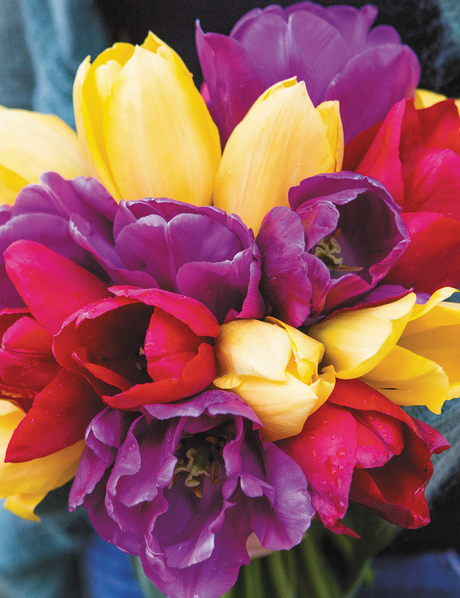 In short they are garden worthy.